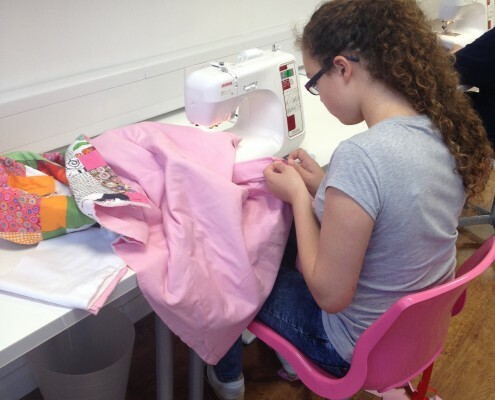 The Petersfield Sewing Bee consists of 3 separate challenges (2 for Juniors) suitable for all abilities, and can be machine or hand sewn. 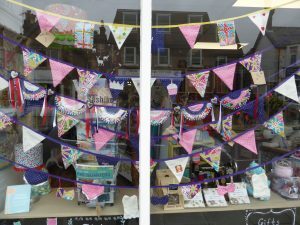 The challenges are due back between Fri 14th June and Fri 19th July for display and judging. 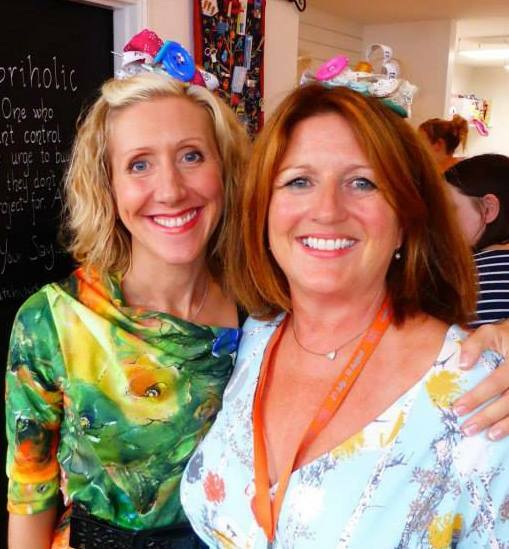 On finals day, 27th July we will ‘Crown’ our Queen (or King) & Mini Bee. 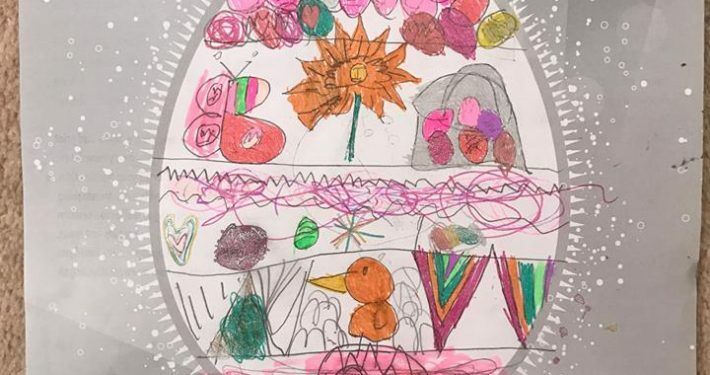 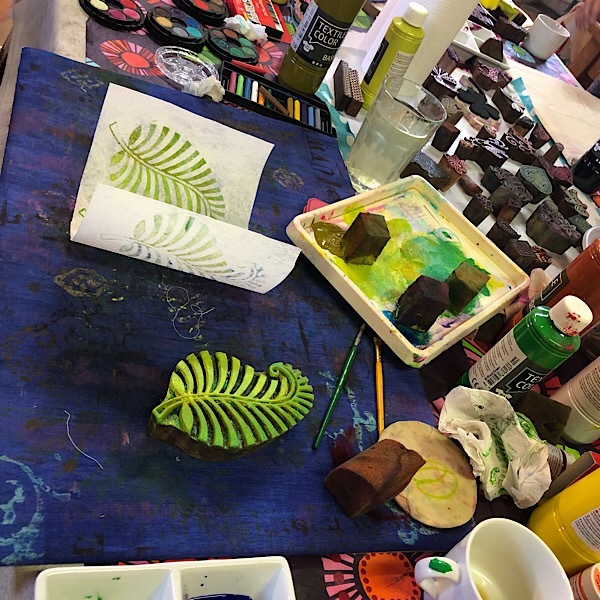 This is a fun competition where we encourage you to release your creativity and the only pressure is what you may give yourself! 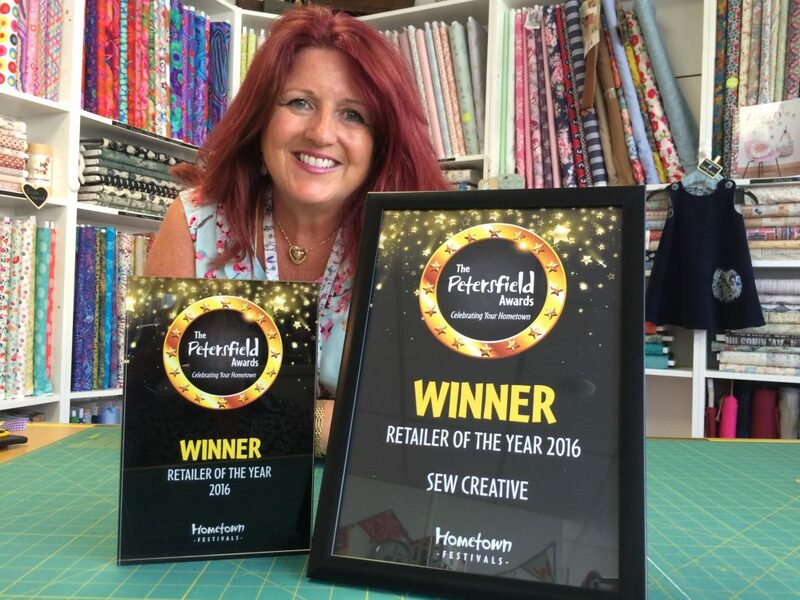 We are delighted to announce that Sew Creative won the Petersfield Award for Best Retailer of the Year 2018. 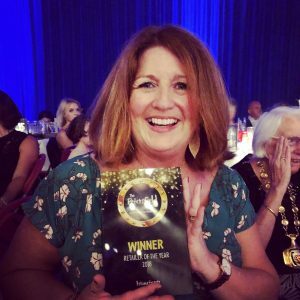 This is the second time we have won this fabulous award in three years! 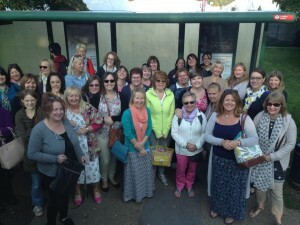 As you can imagine, the team were so thrilled they celebrated long and hard in to the night! 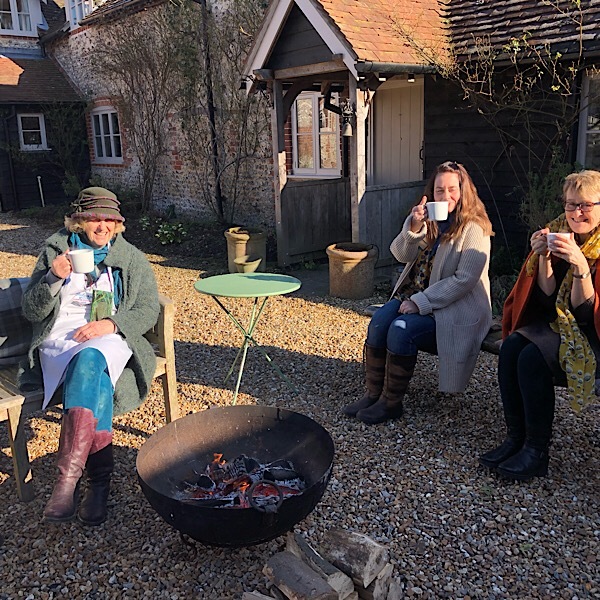 Our thanks goes to all our customers who nominated us in the first place, their wonderfully generous nomination words and our team who consistently deliver our service every single day. 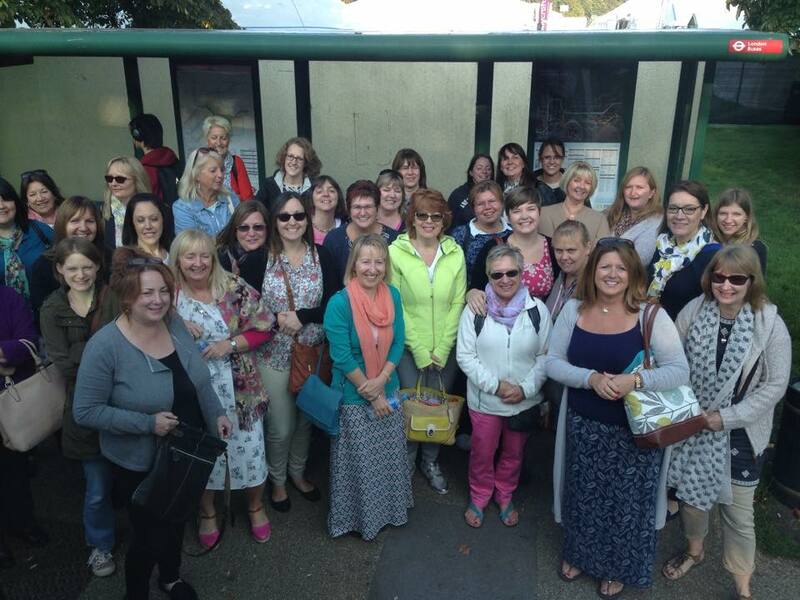 Many congratulations to all this year’s entrants and especially the winners; you were all amazing. 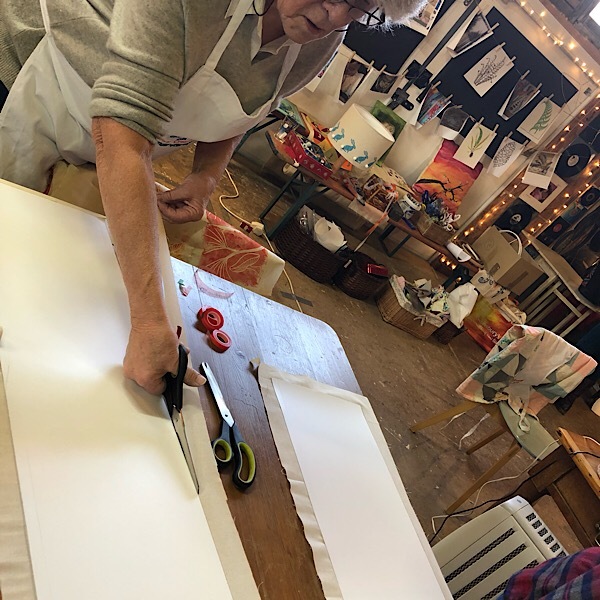 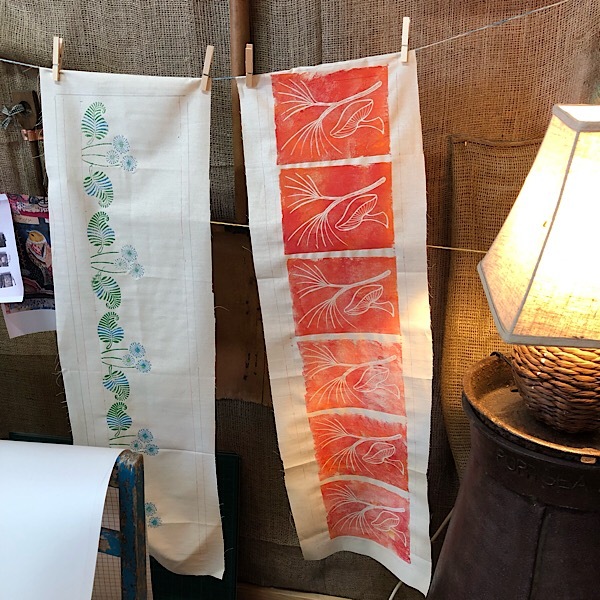 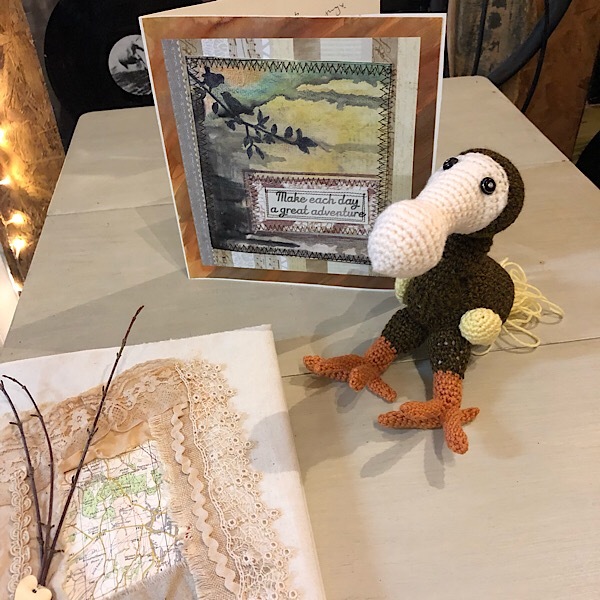 This year we are commemorating the WW1 Centenary throughout all of the challenges so please make sure you pop by Sew Creative in Lavant Street to take a look at the amazing creations made by our most talented participants. 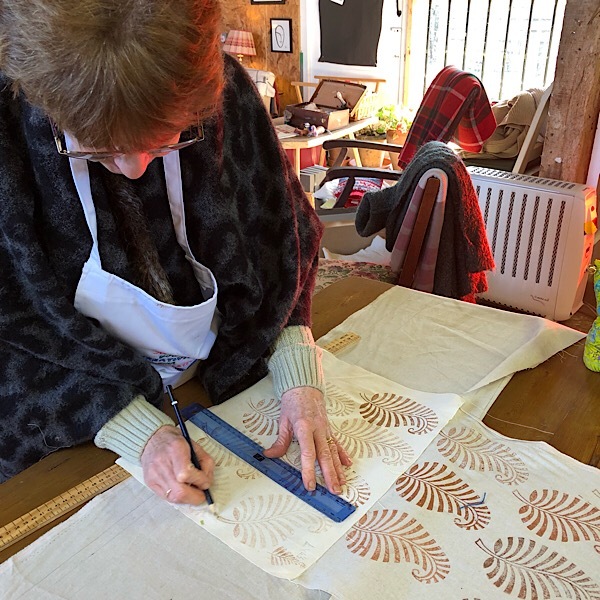 With three challenges to complete, including remodelling and using linen (very scarce in 1914), the winners will be announced on Saturday 14th July. 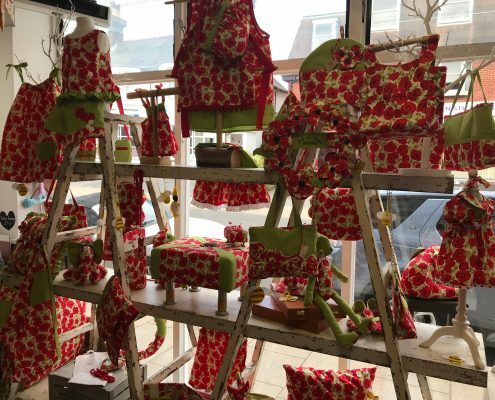 Challenge 1 using poppy fabric is on display now in the sewing studio and Challenge 2 – remodelling – is in the window and shop. 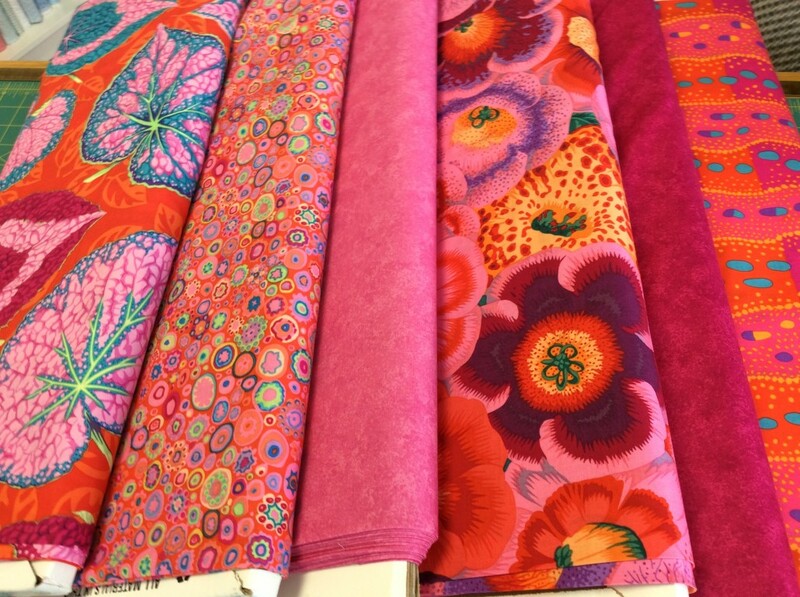 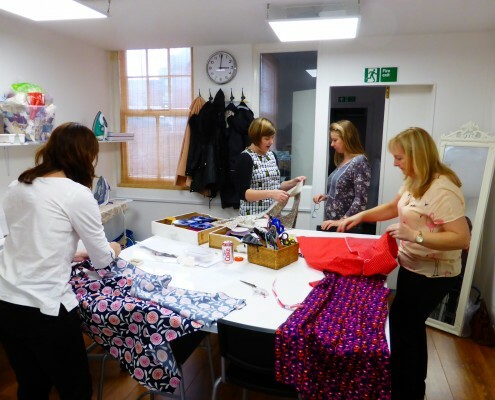 The Petersfield Sewing Bee is Back! 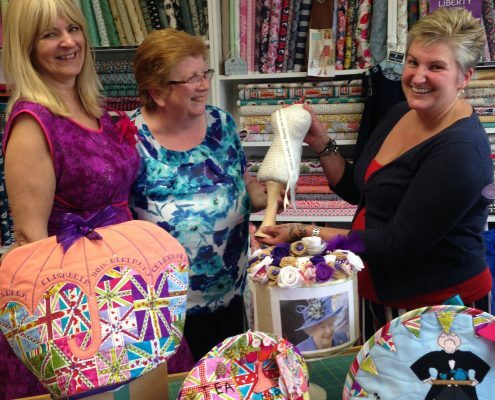 Now in its fourth year, The Petersfield Sewing Bee Challenge is back. 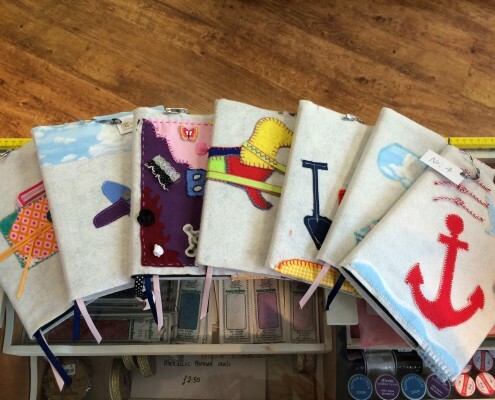 Adult and Junior challenge packs are now available in the shop or by post. 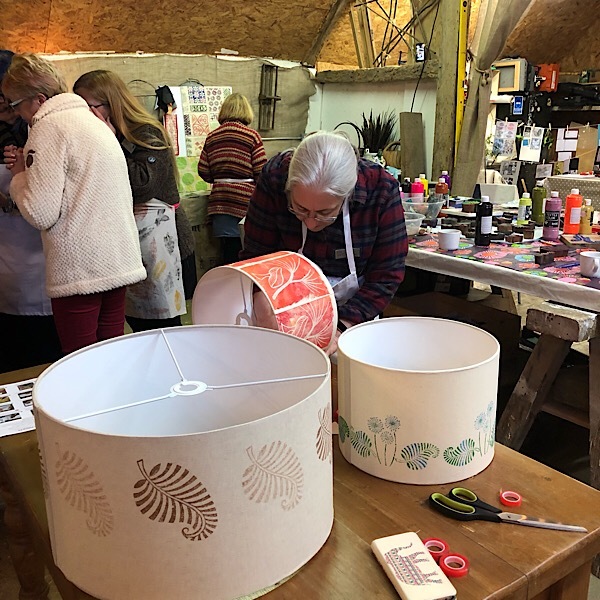 I know we say this every year but this year’s theme will truly inspire both those taking part and customers being amazed by the quality, creativity and variety of the entries displayed in the shop. 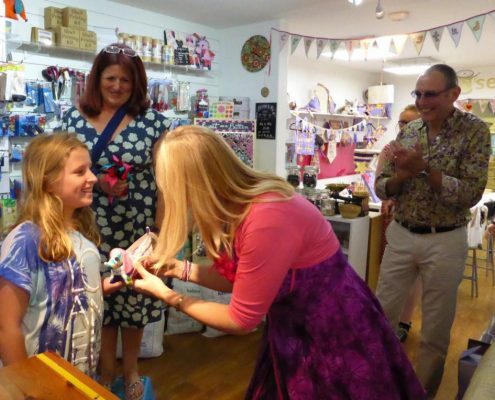 Whilst the competition is all about having fun and challenging yourself, all the entries will be judged based on a set criteria and the winners will be announced at our Sewing Bee Finals Day on Saturday 14th July in the shop, where you will be able to see all the entries together. 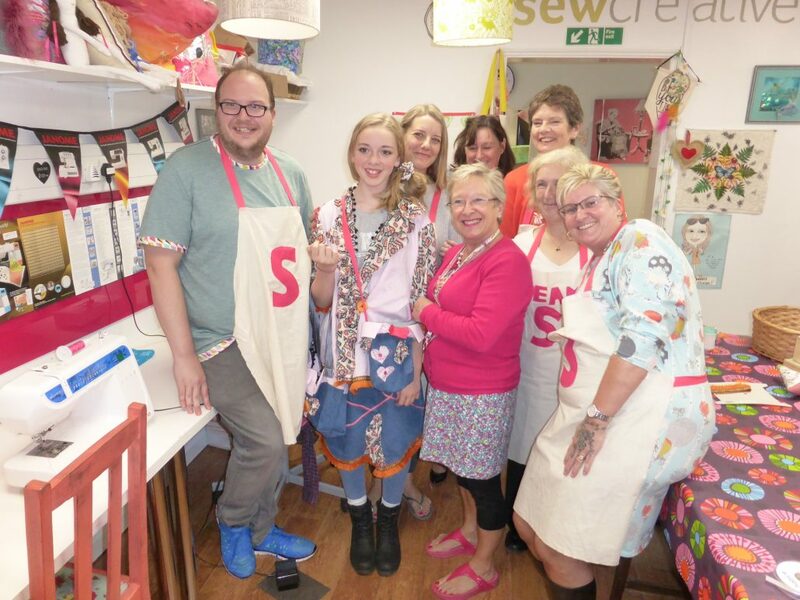 We all look forward to a wonderful Sewing Bee 2018. 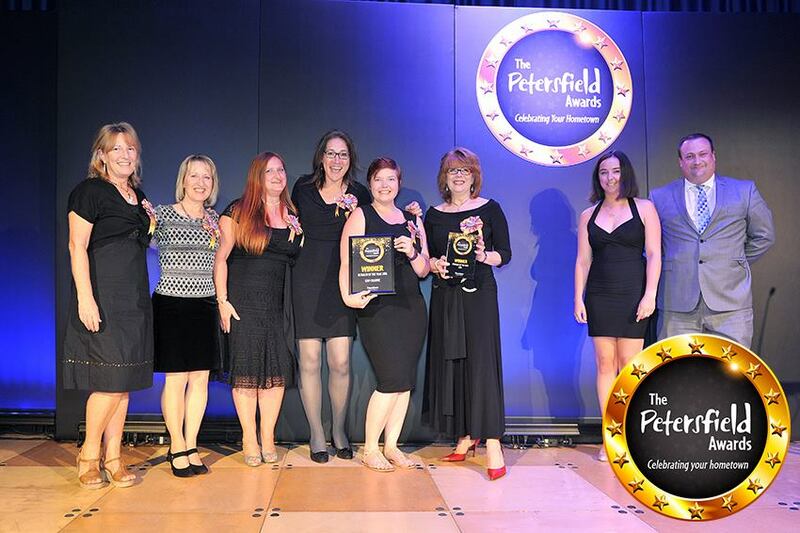 The 2018 Petersfield Awards are back! 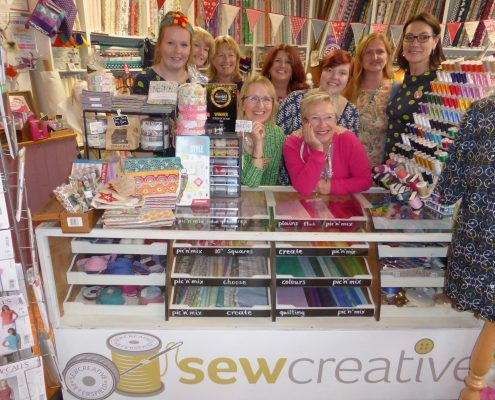 With over 1000 nominations for the 15 award categories, the final shortlists have been decided and we are delighted to confirm that Sew Creative has again been nominated for the Retailer of the Year Award. 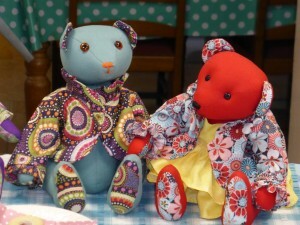 A massive thanks again goes to all our customers and supporters for putting us forward. 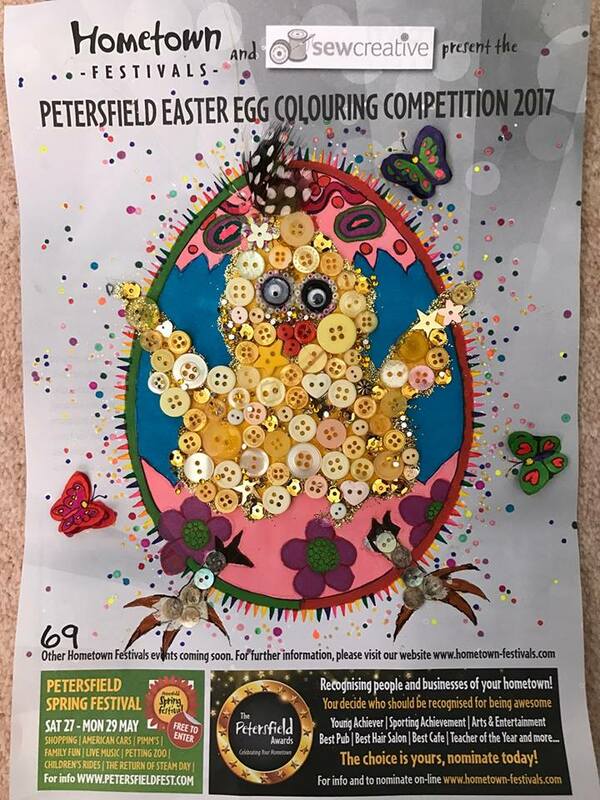 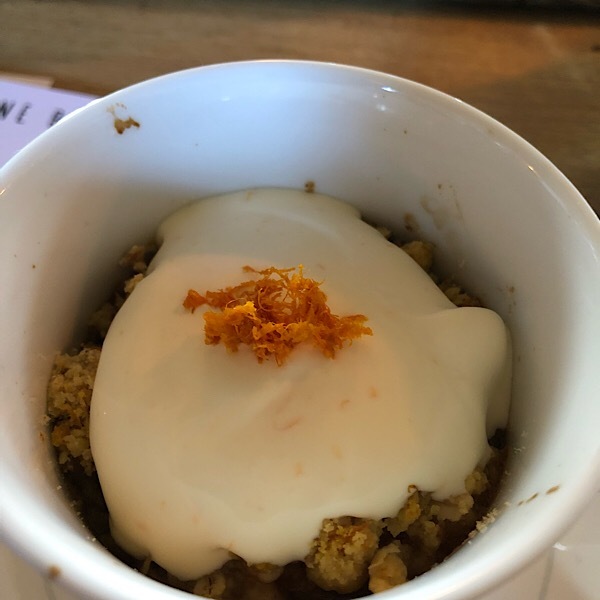 Whilst the winners of some of the awards (like ours) have already been decided, you can still cast your vote for your favourite cafe, teacher, hair salon, restaurant and drinking establishment by visiting; http://www.petersfieldfest.com/wp/index.php/petersfield-awards/ you have until the 30th June to vote. 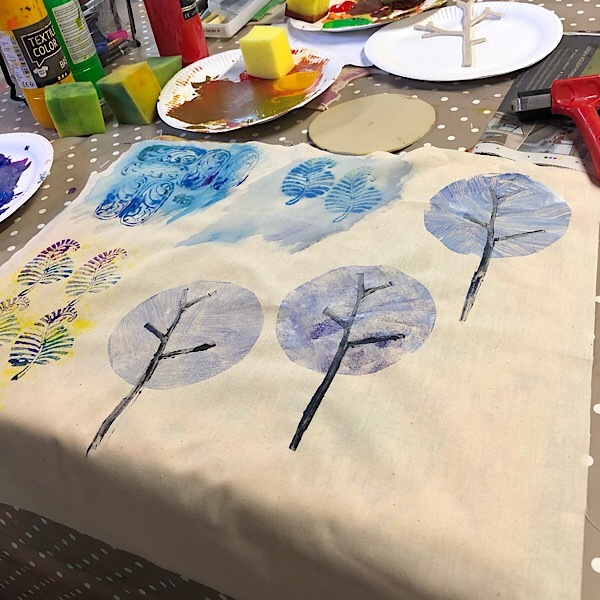 All the winners will be announced at the Awards Ceremony at Churcher’s College on the 13th July; our fingers are crossed! 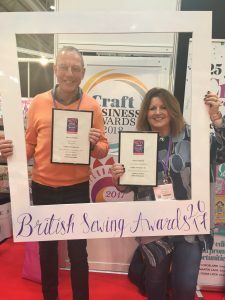 We were delighted to receive not one but TWO awards from the Sew Magazine British Sewing Awards 2017. We came Highly Commended in the Best Workshop Category and the Best Haberdashery Shop (South East). 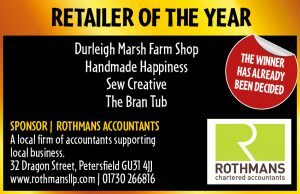 Thank You to all our wonderful customers for nominating and then voting for us – your support is amazing! 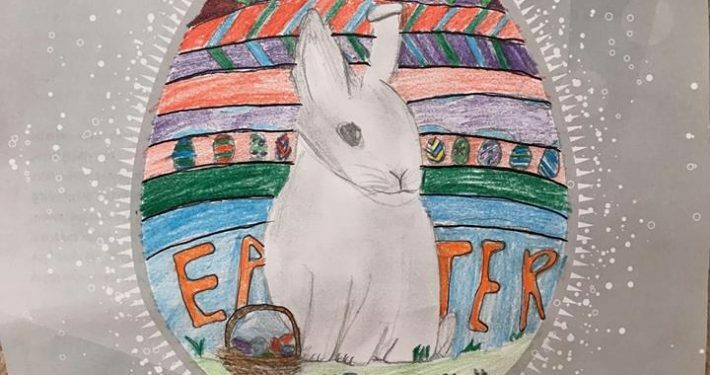 Amazing but this is its 3rd year! 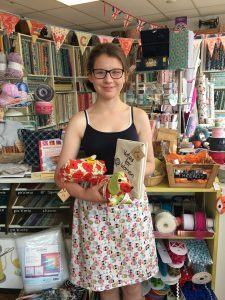 The out right winners were; Sewing Bee 2017 – Heidi Robinson and Princess Bee 2017 (under 16s) – Grace Anelay, both from Petersfield. 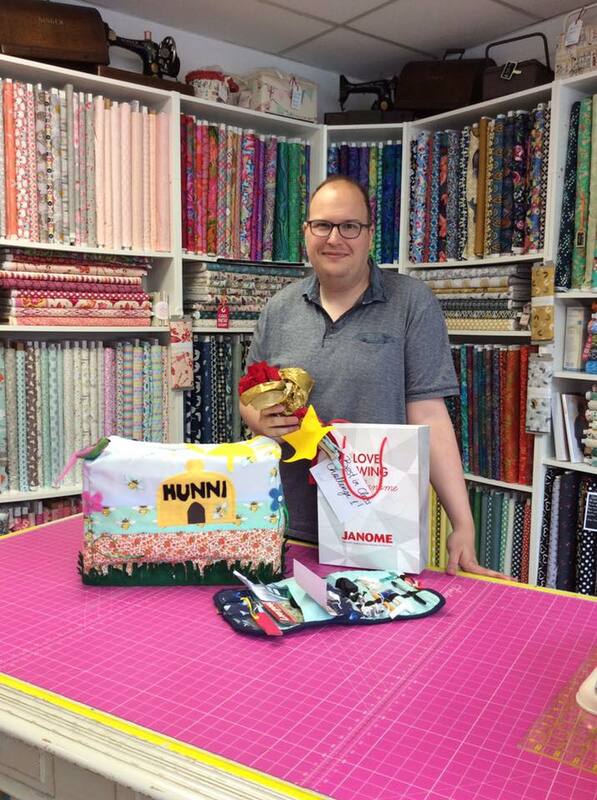 There were also several individual challenge winners including Matt Ralph who is registered partially sighted! 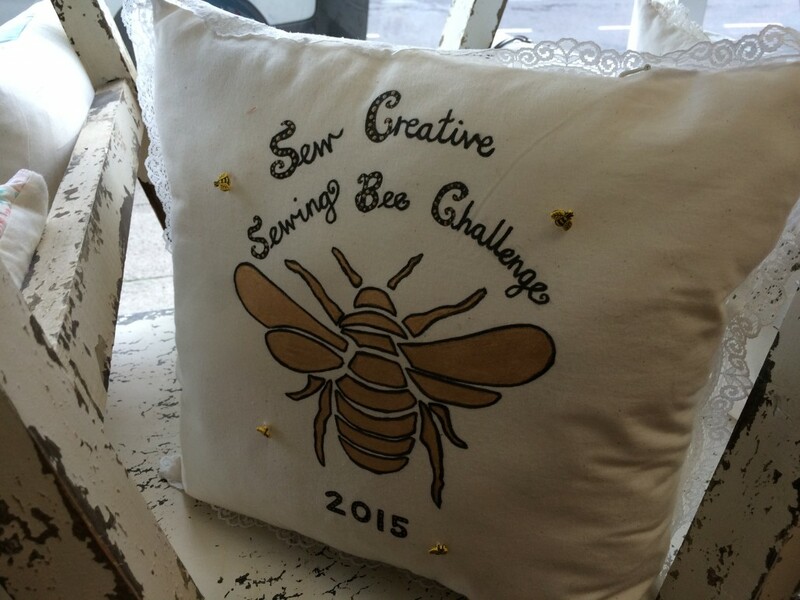 The Bees were presented with trophies and vouchers for Sew Creative and all winners got a sewing goodie bag. Special extra prize – Daniel (aged 9) won a Sew Creative felt rabbit kit. 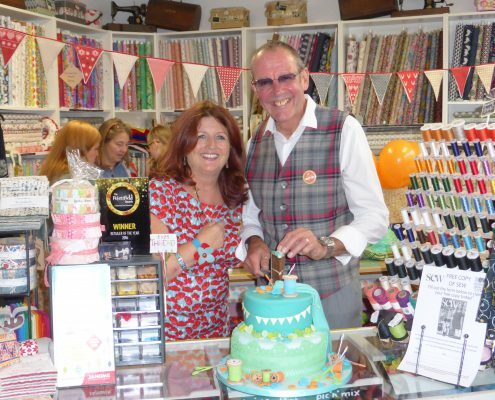 Sew Creative is awarded runner up in Sew magazine’s national sewing awards for the second year running for Best Independent Haberdashery Shop in the South of England and Best Sew Saturday Event. 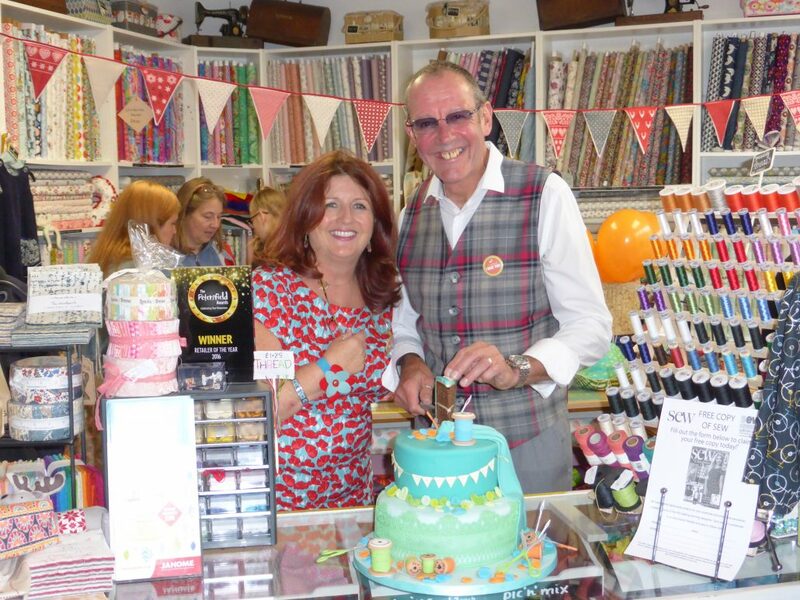 We are naturally delighted and thank all our customers who voted for us. 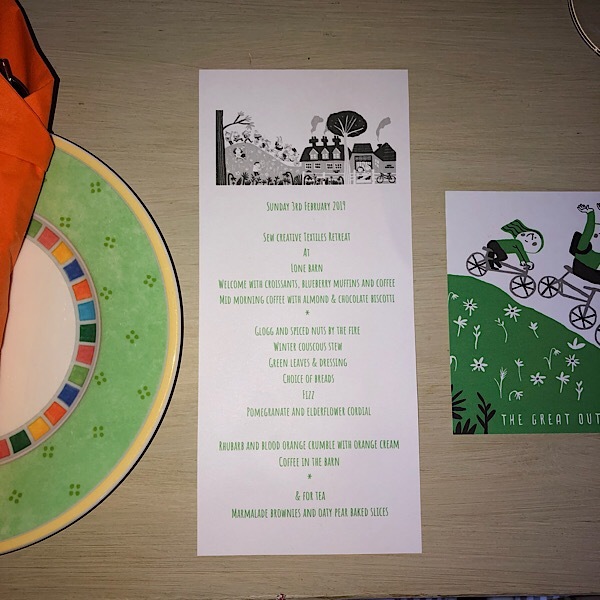 A special thanks also goes to our team who provide such amazing service every single day and maintain our unique busy atmosphere and welcome. 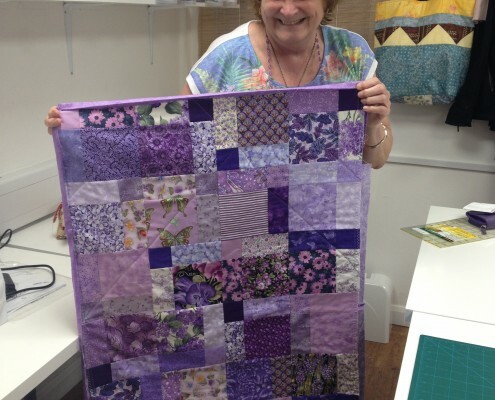 Block of the Month Challenge – 2016 – Sew with Jo!! 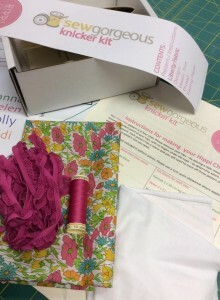 May 17 – Stash Buster : year block 12- May 17docx. 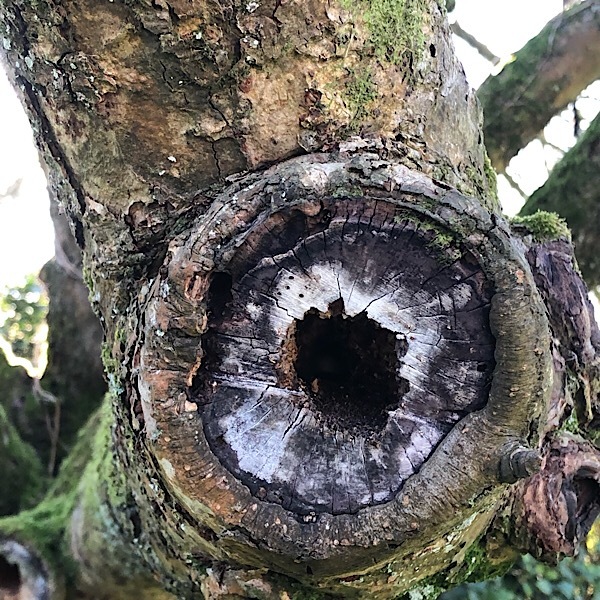 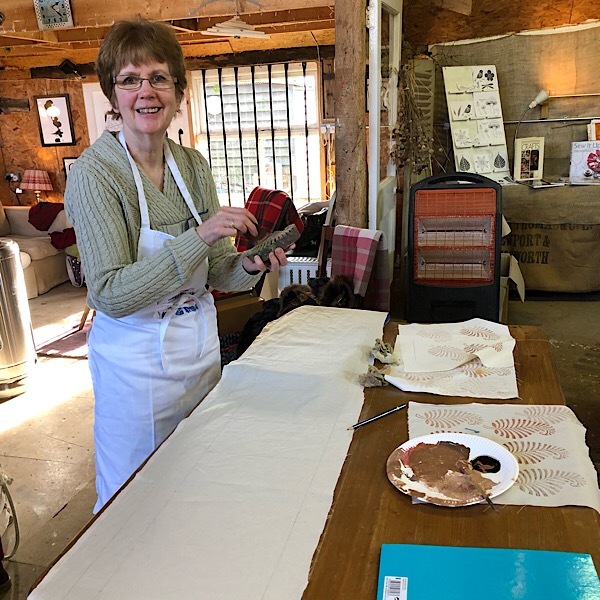 April 17 – Foundation Log Cabin: year block 11year block 11- April 17 docx. 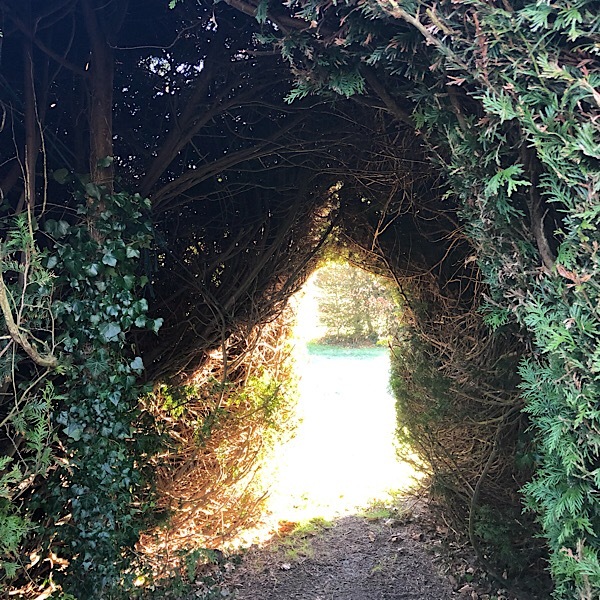 Feb 17 – Double Hourglass : year block – Feb 17.docx. 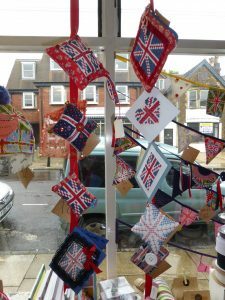 May – Union Flag – tutorial: year block – May docx. 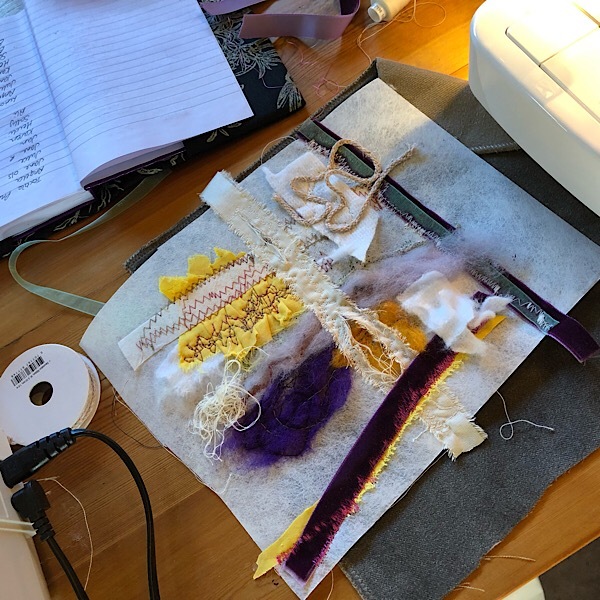 April – Weave Block – tutorial: year block – April.docx. 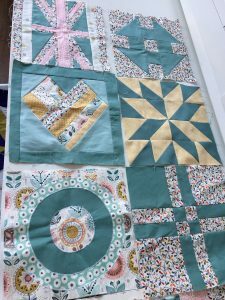 March – Circles Block – tutorial: year block – March.docx. 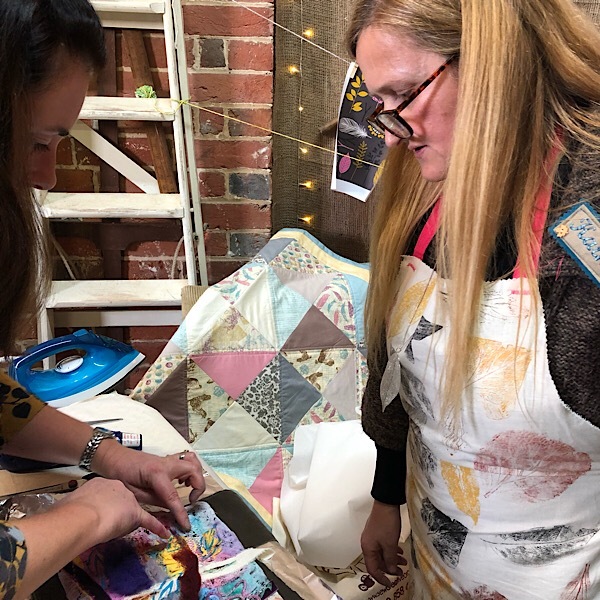 To mark Sew Creative’s second birthday a wonderful double bed sized red, white and blue quilt was crafted by our awesome customers, using our donated fabric. 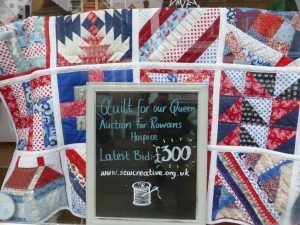 It was auctioned with the proceeds; an amazing £300 all going to the Rowans Hospice in Waterlooville. 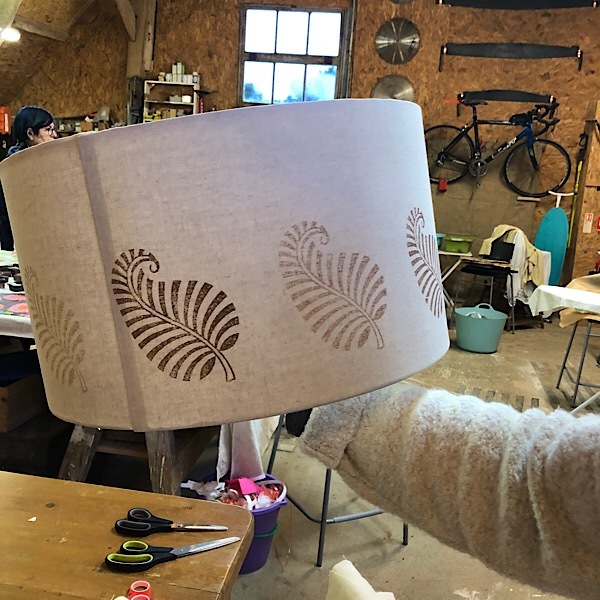 The hours of work involved and the result are truly stunning and everyone involved were delighted to help such a great charity. 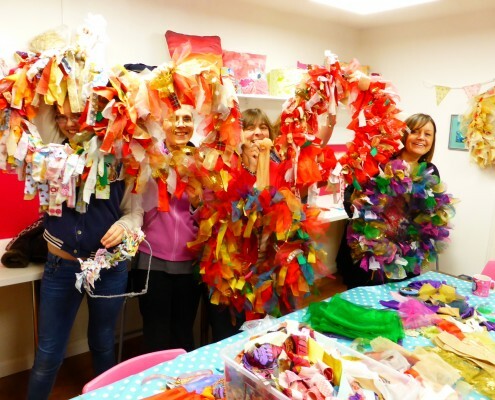 For over a month, customers to Sew Creative have using all their creativity in our Christmas Crafty Challenge. 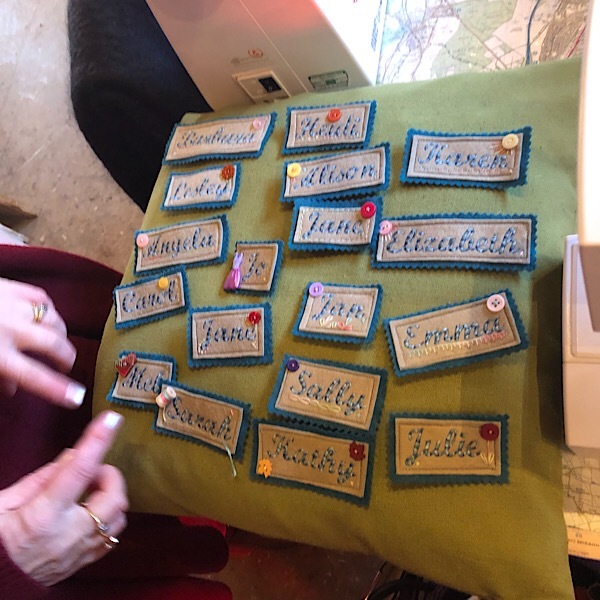 Using hessian, embroidery thread and their choice of embellishments, all manor of wonderful items were created, including bags, a snow man and fairy, advent calendars, table runners, bunting, cushions and so much more. 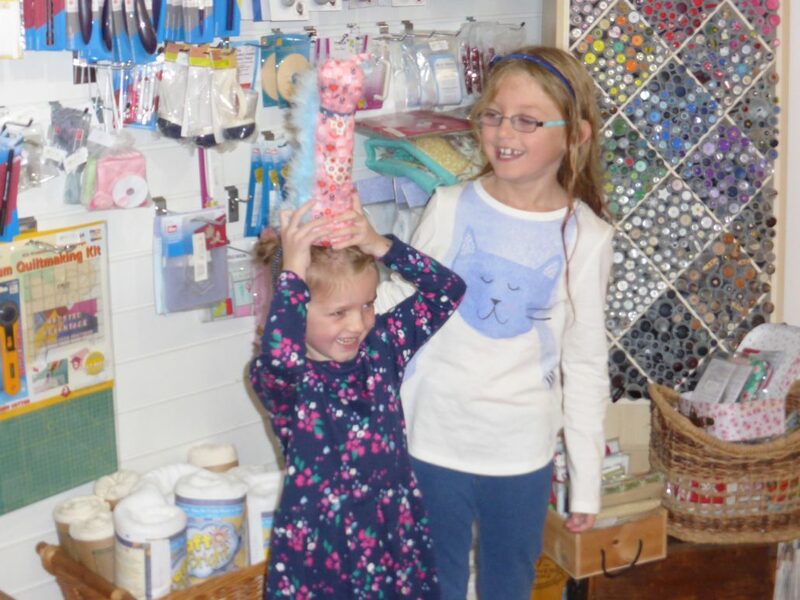 Visitors to the shop then voted for their favorite. 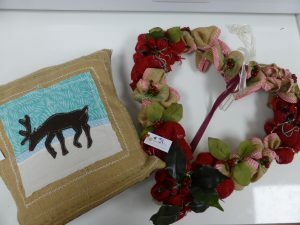 The winners were Mimi Harris for the under 16’s for her cushion and Helen Spencer for her heart wreath. 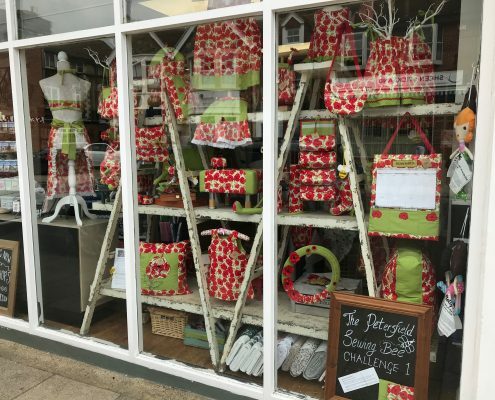 Well done to all who took part and thank you for making our Christmas window so wonderful. 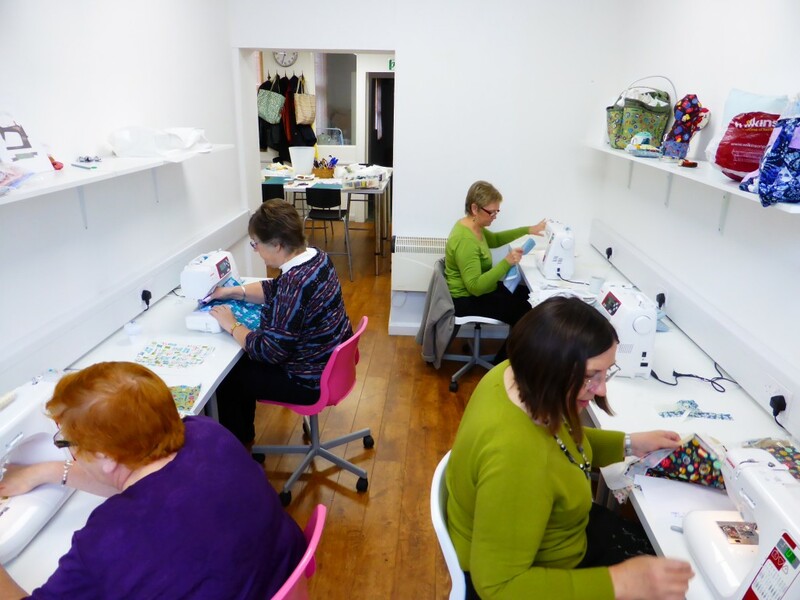 Sew Saturday / Second Anniversary; see the fun! 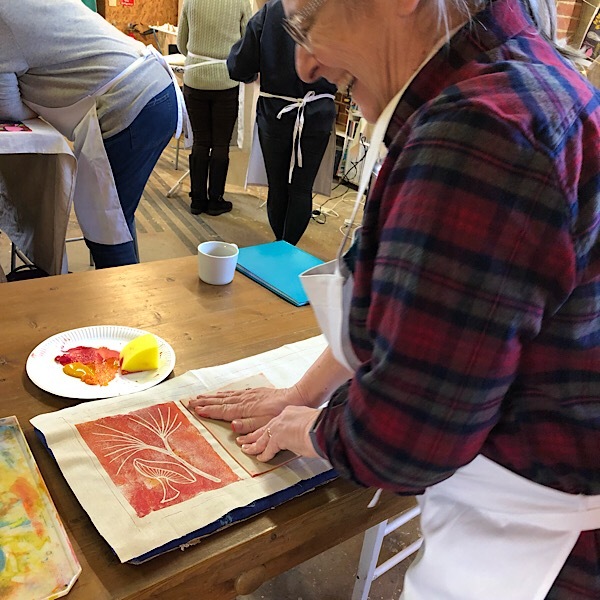 Fun events throughout the day, including…. 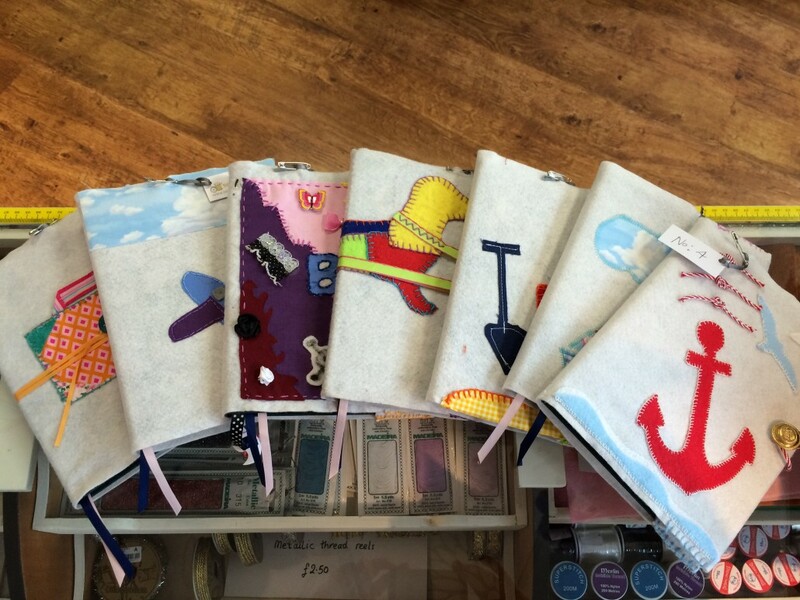 We are delighted to be an approved stockist for the full range of wonderful Janome sewing and embroidery machines. 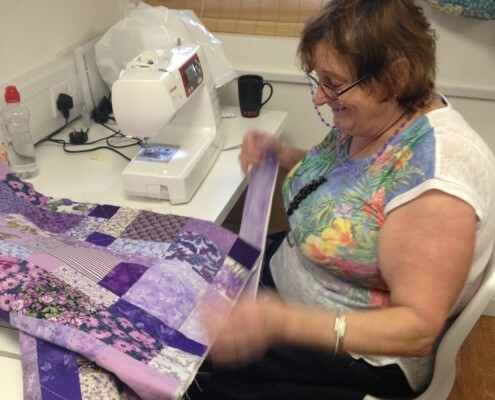 The Janome range complements the existing Elna machines perfectly giving our customers the widest choice of machines to meet all their sewing needs and budgets. 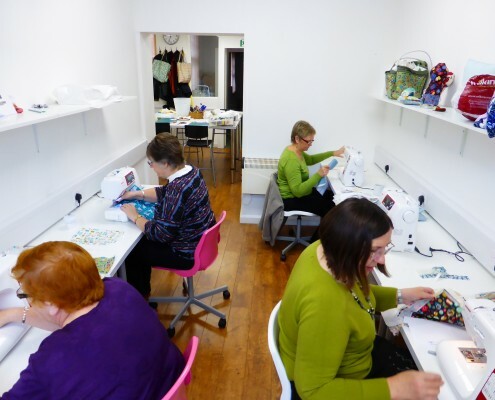 For advice and to test sew the latest machines, please visit our newly developed demonstration area in the shop. 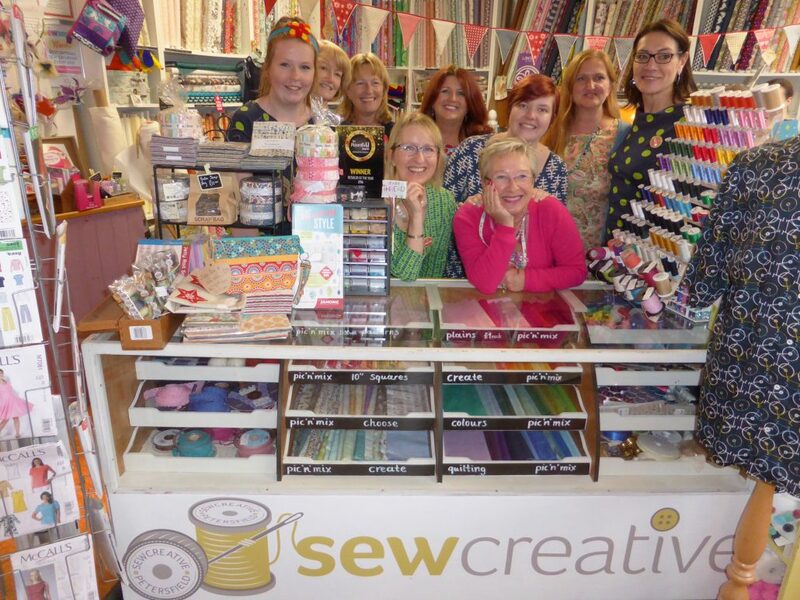 Sew Creative wins Retailer of the Year 2016! 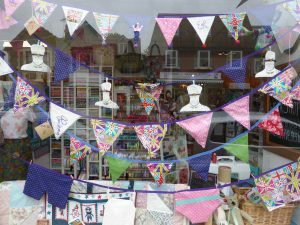 We are delighted to announce that Sew Creative has won the Retailer of the Year 2016 Award at the Petersfield Awards celebration ceremony held at Churchers College on the 15th July. 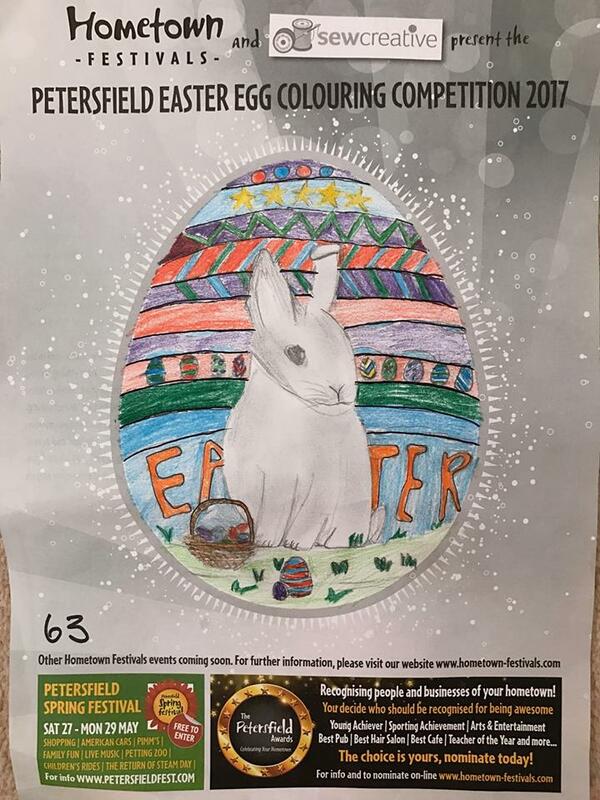 Beating very well known and established competition we are thrilled and very proud. 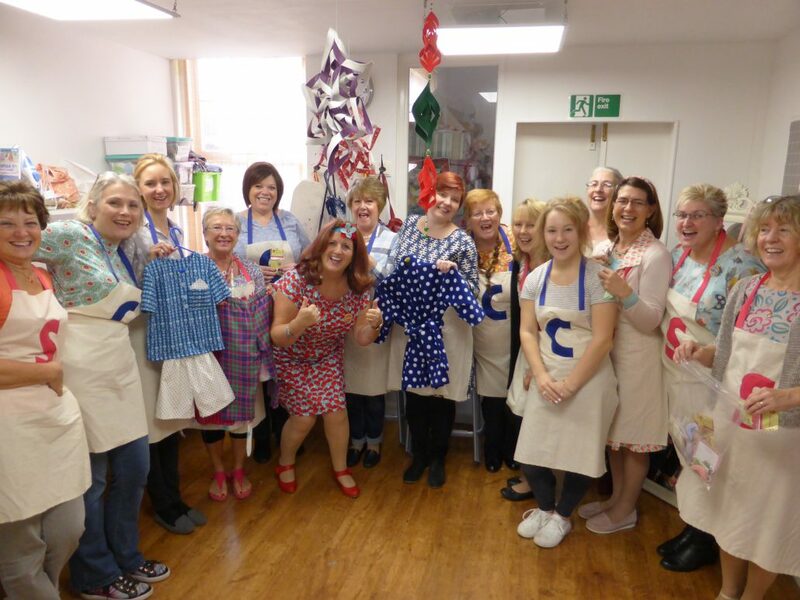 Our thanks goes to our team who provide an amazing level of customer service every day and all our wonderful customers who support us. Wendy Gardiner, presented the trophies to our adult and under 16s winners and our congratulations goes to Jackie Tee and Erin Robertson, adult and under 16s respectively. Sally-ann Cole (last year’s winner) was on hand to pass the trophy to Jackie. 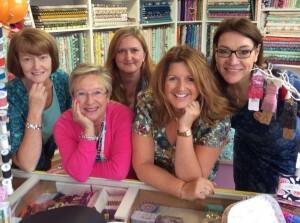 Well, I don’t envy our judges! 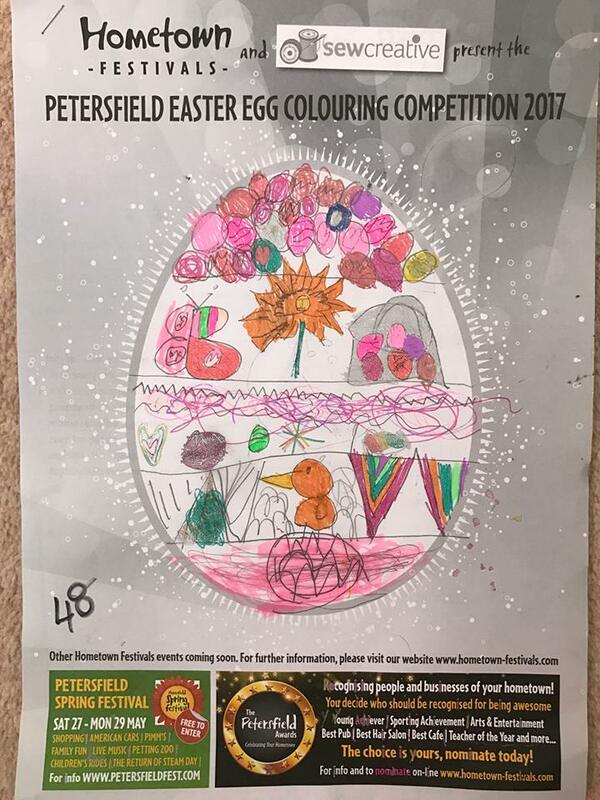 Have you seen the entries this year? 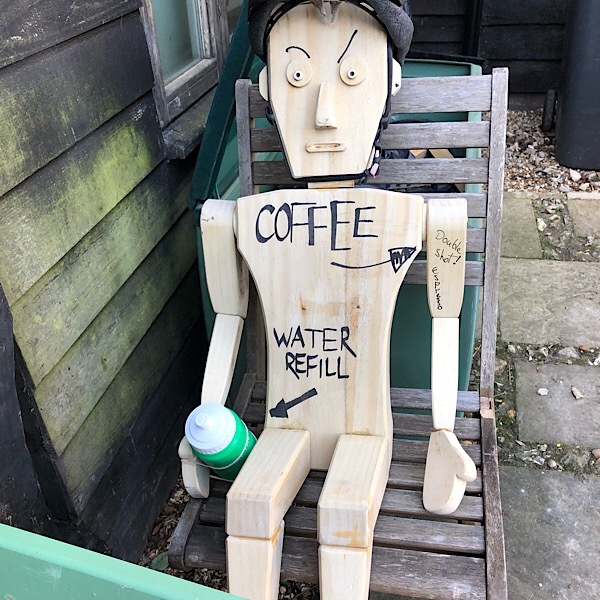 Wow indeed, but the finals day is looming. 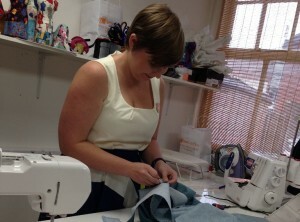 This Saturday 25th June, the Sewing Bee Champs will be announced. 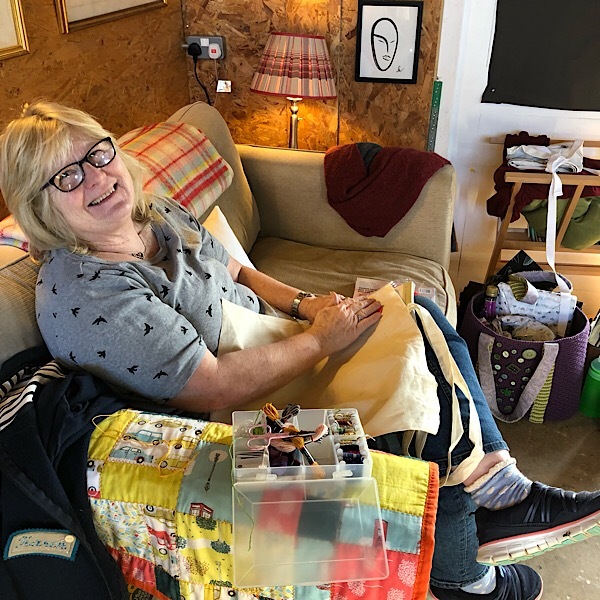 We are delighted to announce that Wendy Gardiner, author of the latest Sewing Bee book, Create & Craft and Craftsey presenter and general all-round sewing Geru, will be joining us from 3pm to cast her eye over the entries, winners will be announced from 4pm. 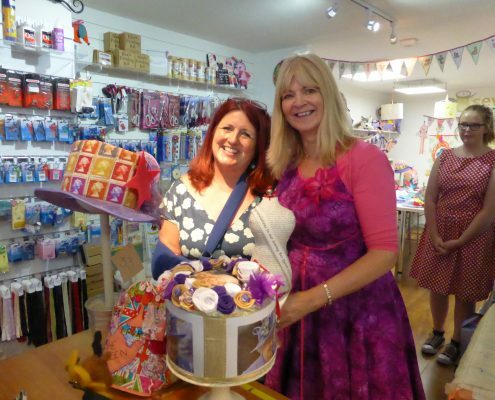 Please feel free to attend, Wendy is happy to sign your Sewing Bee or Fun with Fat Quarters books, we have them to purchase on the day if you would like one too! 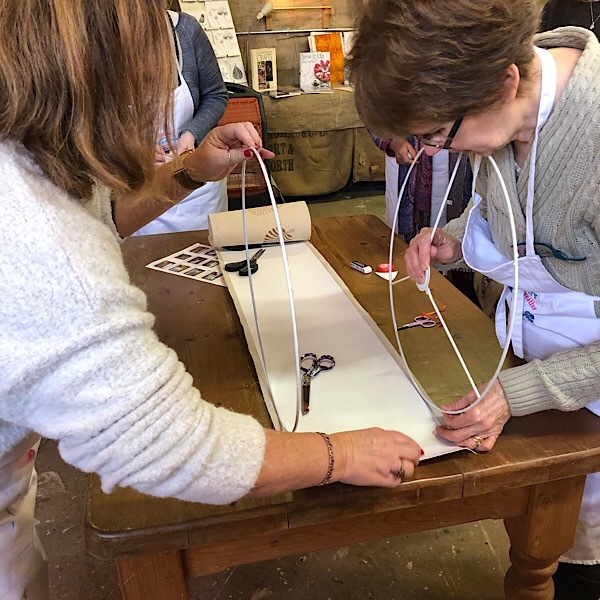 Second adult challenge….we gave them a plain white t-shirt….look at the creativity!!!!!!!!!! 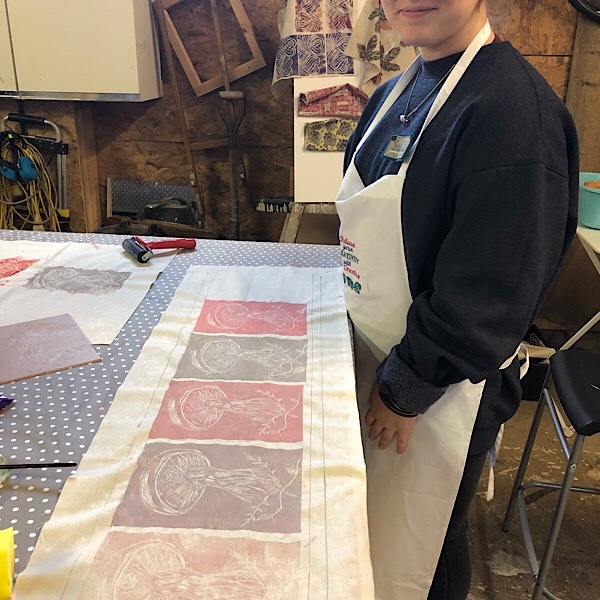 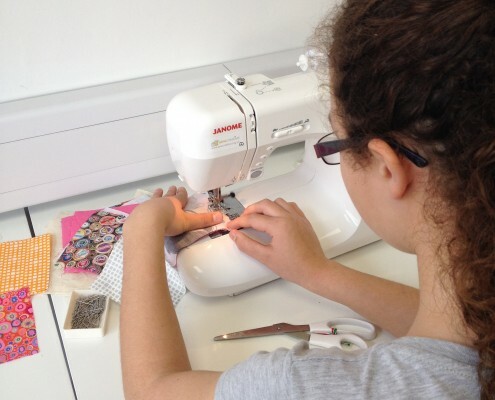 The children (under 16s) returned their first challenge on Saturday; they were given fabric and binding to make bunting of their own design to celebrate the Queen’s 90th birthday. Their fantastic creativity and sewing skills are on show in the window; come and see. 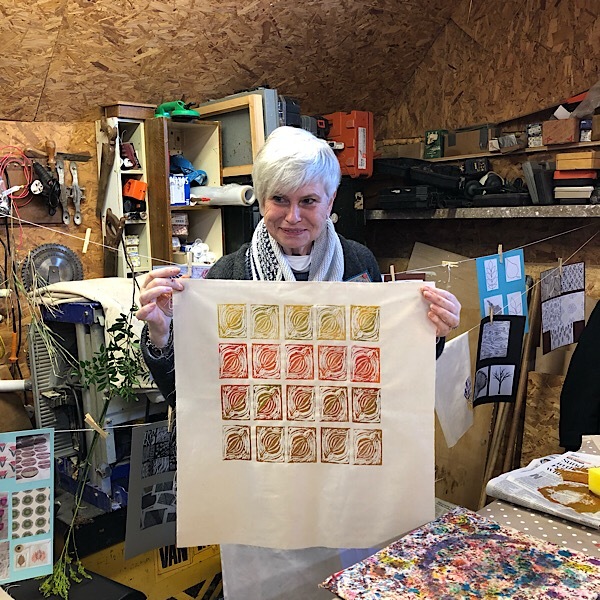 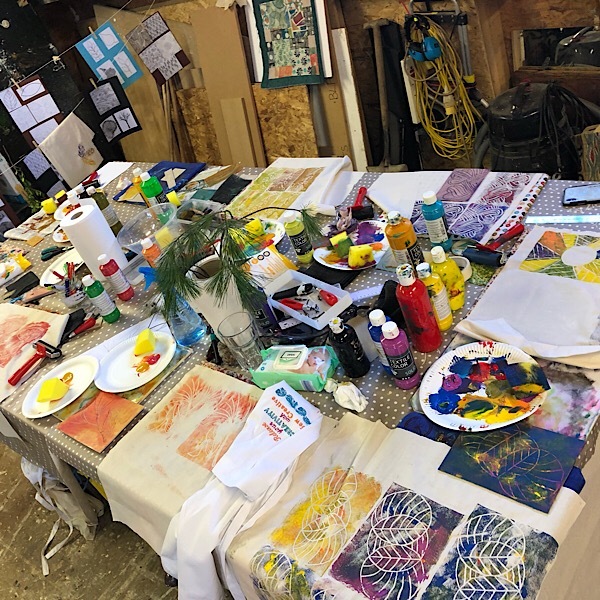 We are celebrating the Queen’s 90th birthday this year in The Petersfield Sewing Bee – for the first adult challenge participants were given a fat quarter of gorgeous queen stamp fabric and a coordinating plain and asked to ‘get creative’ and make whatever they liked. 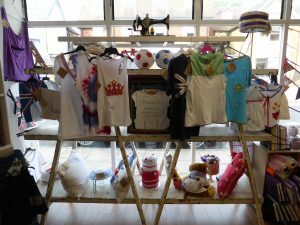 The results are amazing with items such as crowns, hats, bags, cushions, picture, clock, dog coat, tie and even a hobby horse! 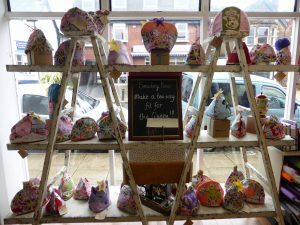 Please come and take a look at the wonderful display – the picture does not do it justice – we have amazing creative talented customers for sure!! 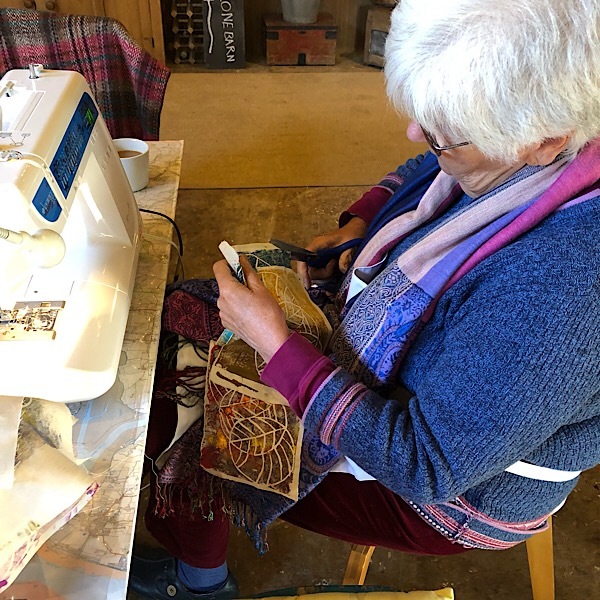 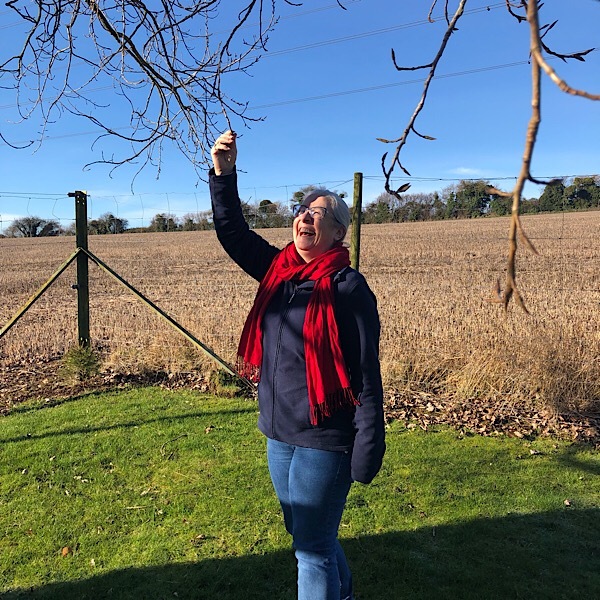 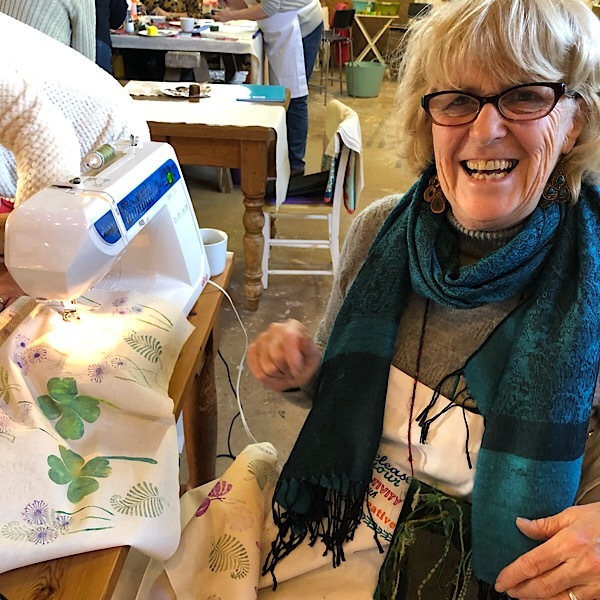 Following on the success of last year’s Petersfield Sewing Bee, we have some wonderful challenges for you, the focus is on fun and challenging yourself. 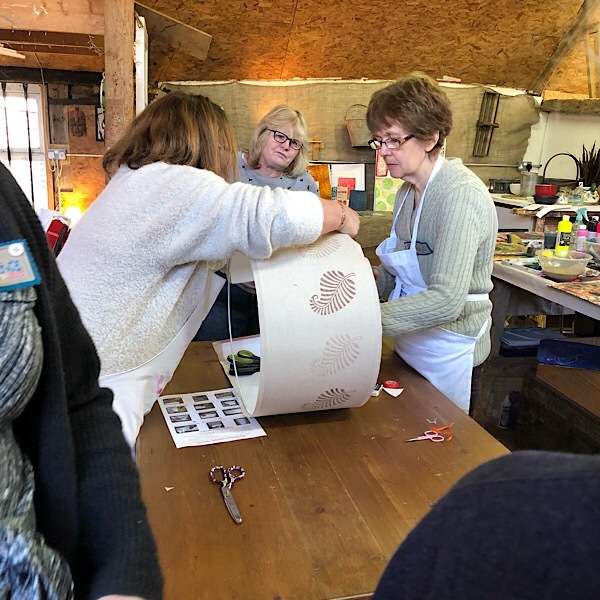 The boxes remain a secret until you purchase one – £20 adult (3 challenges) , £10 child (2 challenges). 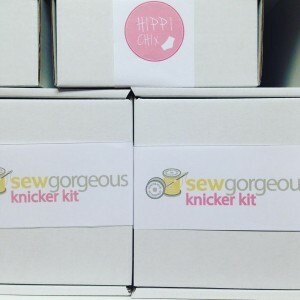 Limited availability – Get yours on Saturday 7th May!! 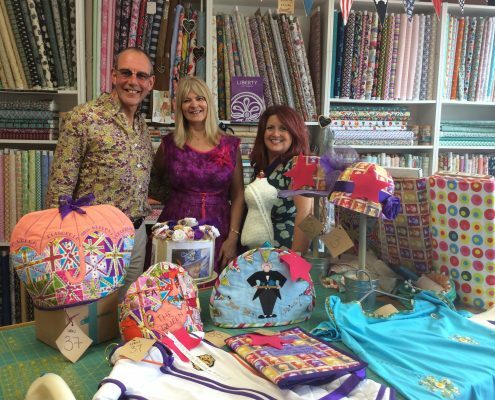 We were very fortunate to have been nominated in two categories for Sew magazine’s British Sewing Awards 2015; Best Independent Haberdashery Shop (South of England) and Best Sewing Workshops/ Courses (Nationally). 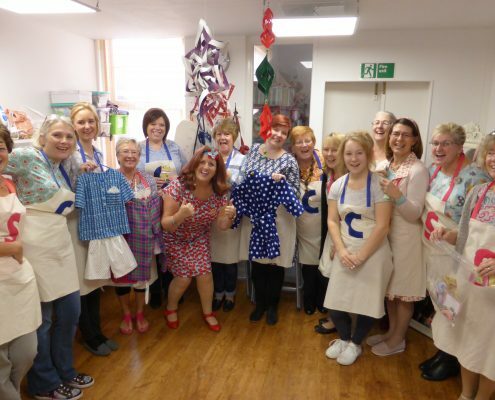 Following all the voting we are thrilled to announce that Sew Creative came Runner Up in both awards! 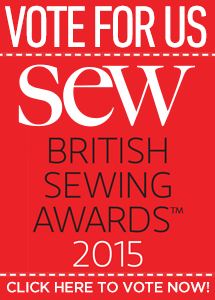 After only a year, this is an amazing result and we thank all of our wonderful customers who voted for us. 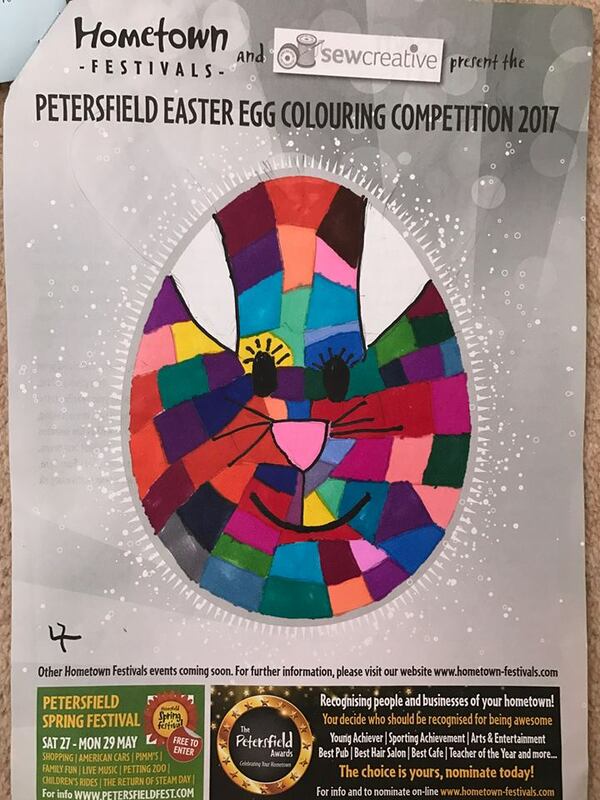 We were up against some stiff competition including very established industry heavy weights, which makes this result even more impressive. 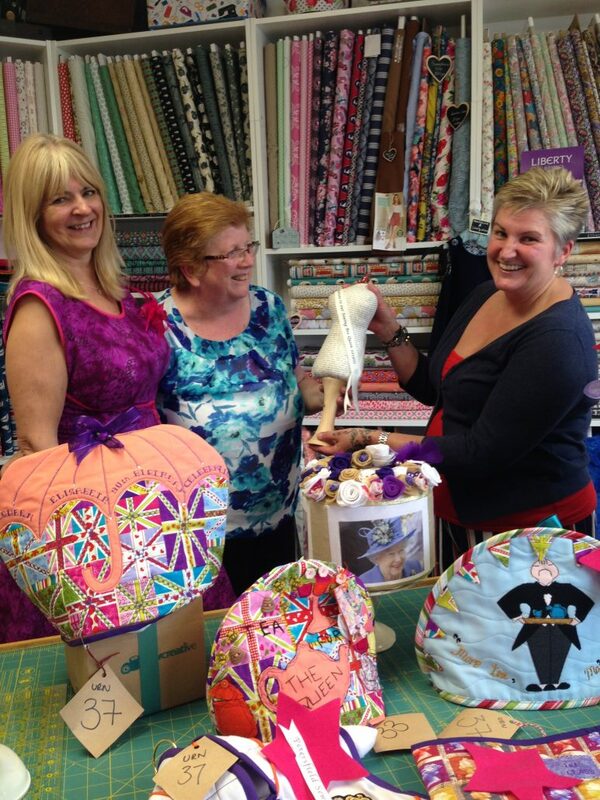 Thank you to everyone again and you know us, we shall push for a winner award this year! 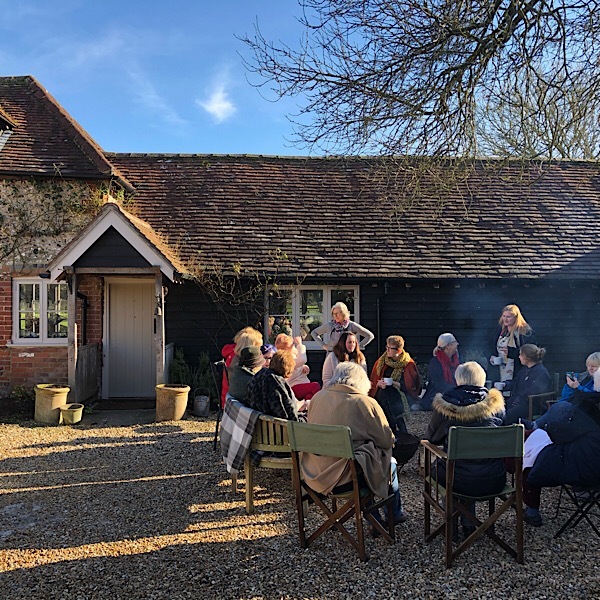 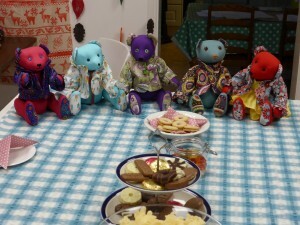 On Saturday 23rd January, we held a Teddy Bears’ Picnic/ Re-union to celebrate our first “Lottie” the Bear workshop course. “Lottie” created by Sarah Lloyd won our 2015 Petersfield Sewing Bee Challenge which inspired a 4 week workshop to create your own bear. 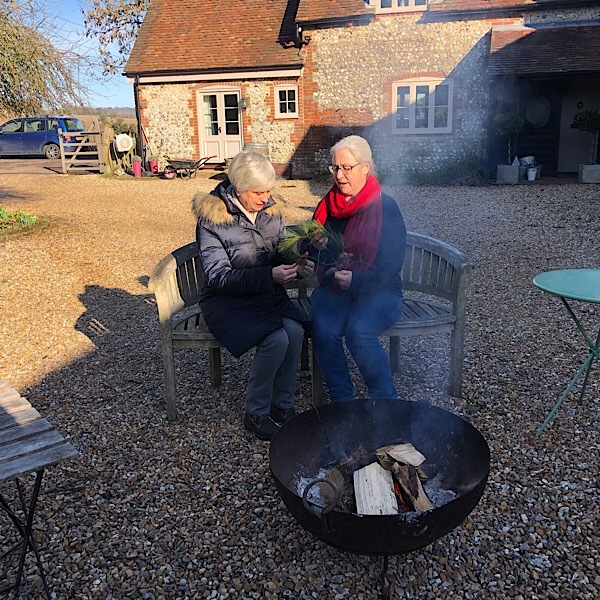 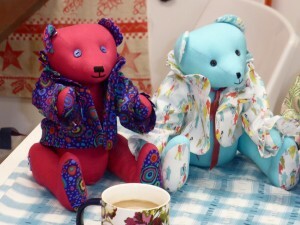 Customers brought their completed bears to enjoy a picnic together with Sarah and Jo. 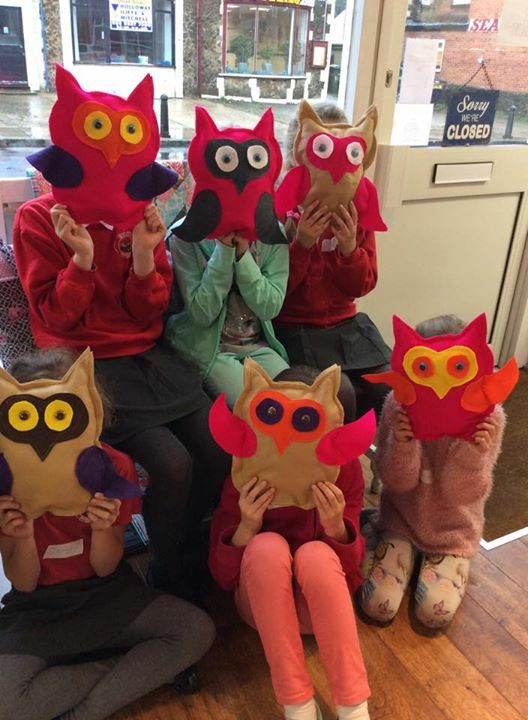 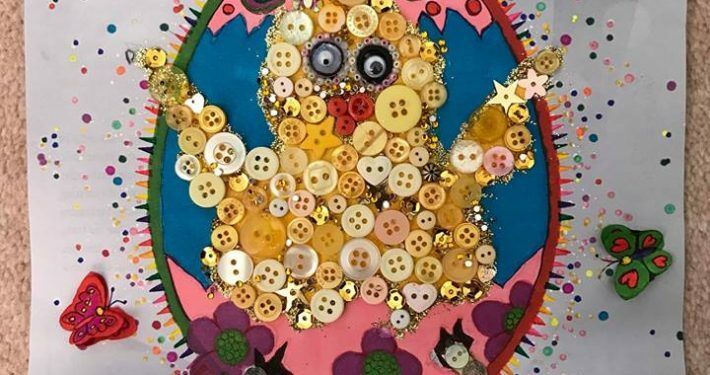 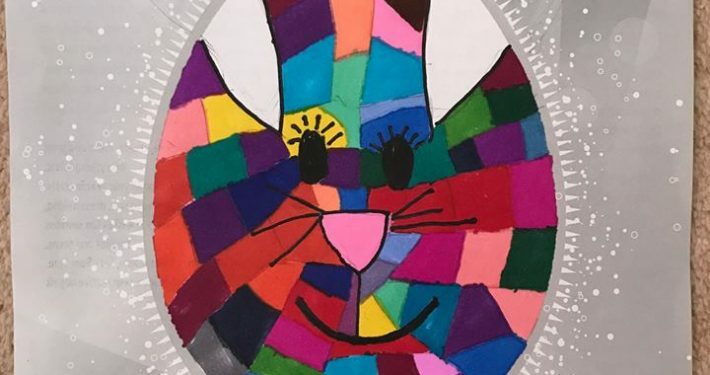 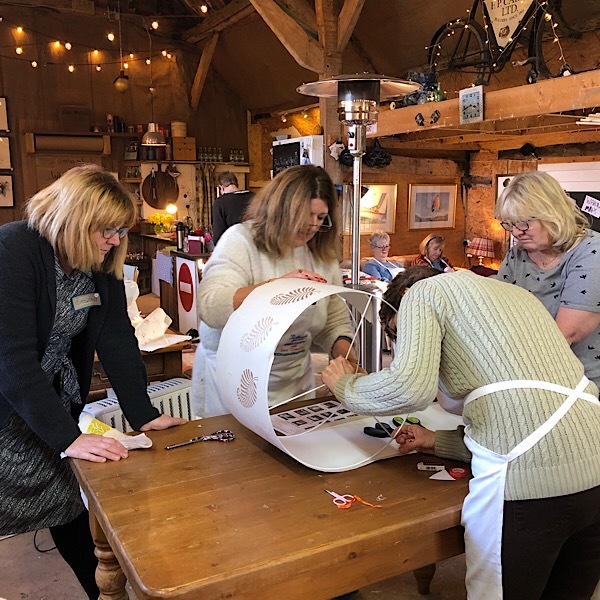 As you would expect, all their collective creative juices flowed which has generated a second “Lottie” the Bear and a new Tilda Doll workshops. 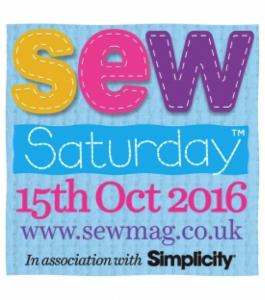 We are delighted to announce that our fantastic birthday and Sew magazine’s Sew Saturday celebrations on the the 17th October were judged by the magazine as the best overall event nationally. 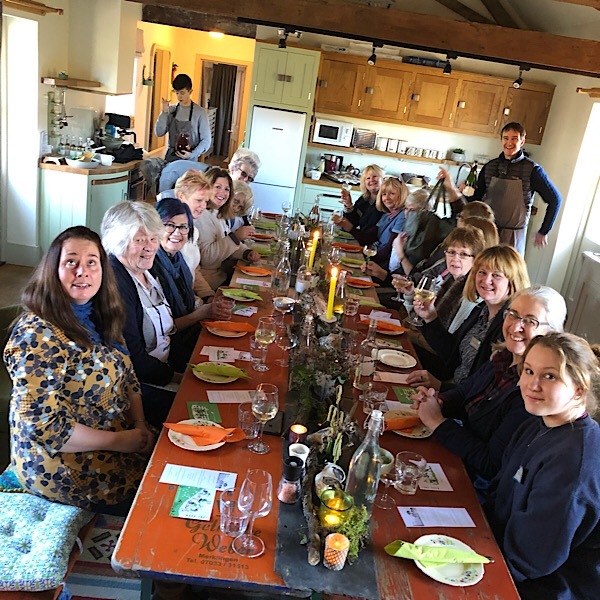 This is wonderful news to have won an award within our first year and our thanks goes to all our customers, our team and the WI Denmead Belles and especially Lara for making the event so special for us all. 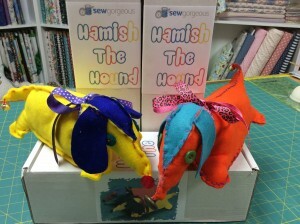 Sew Creative launches a range of kits for all ages and abilities including Liberty fabric knicker kits, Hamish the felt hound and sew gorgeous patchwork charm packs. 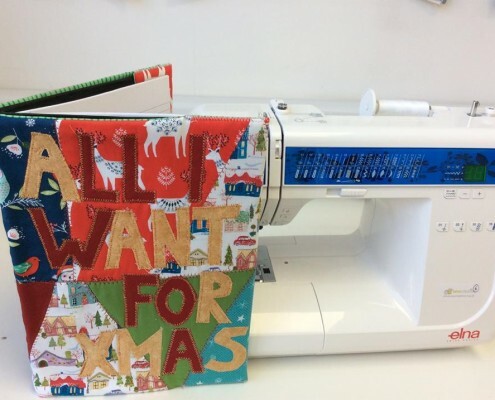 All I Want for Christmas Book… come and write in it to your heart’s content – when your loved ones ask you ‘what would you like for Christmas darling?’, tell them you have a list in a book at Sew Creative – Simple!!! 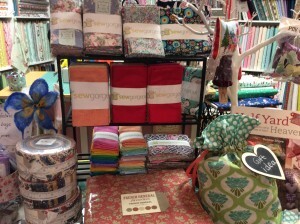 Haberdashery v toiletries mmmmm No Contest!! 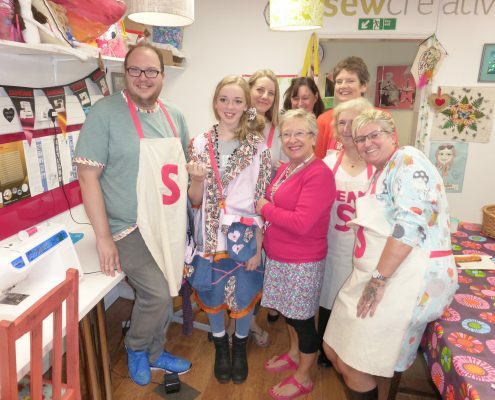 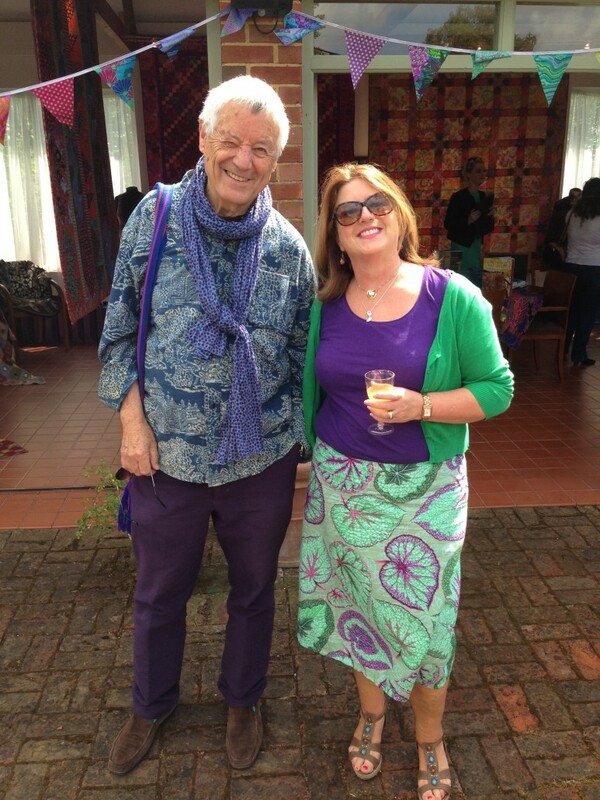 On the 17th October Sew Creative celebrated its first anniversary. 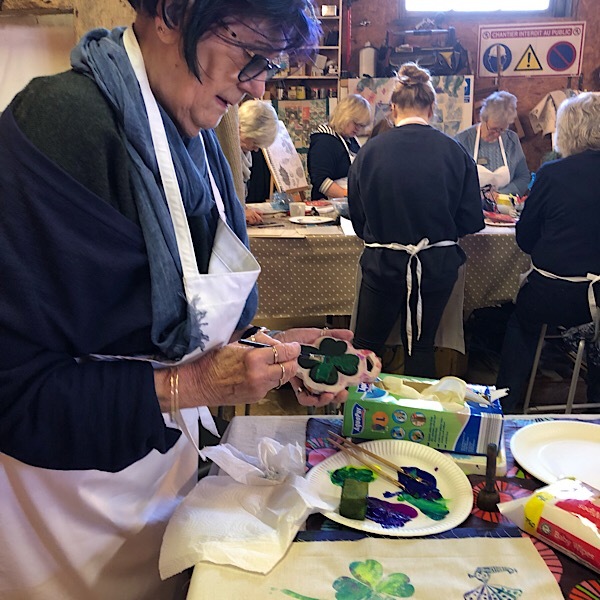 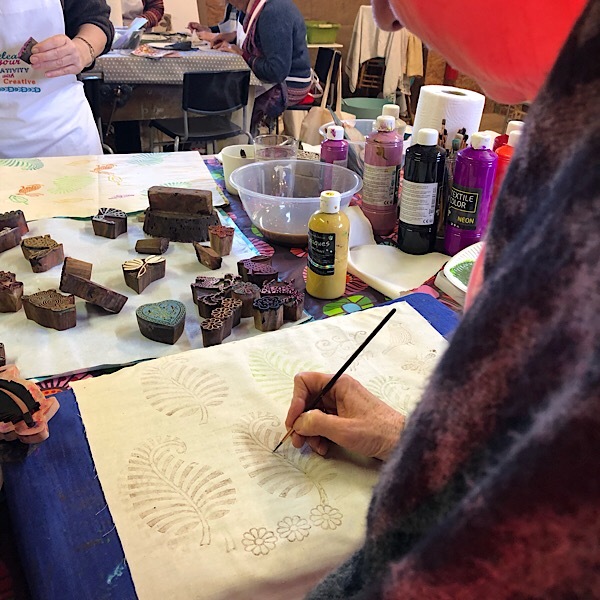 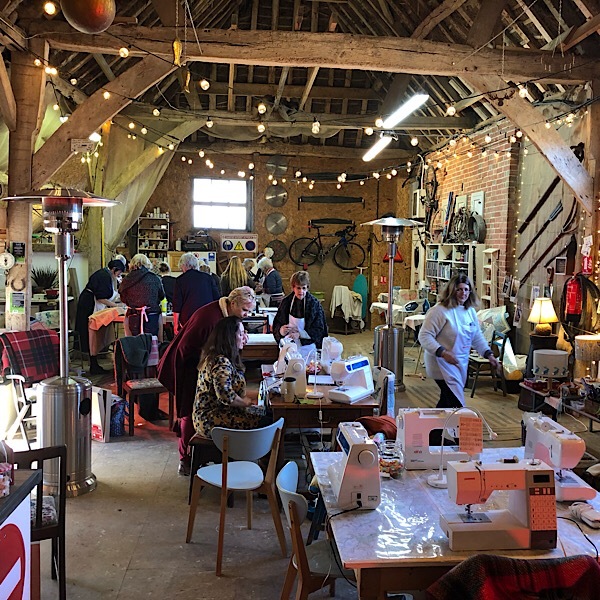 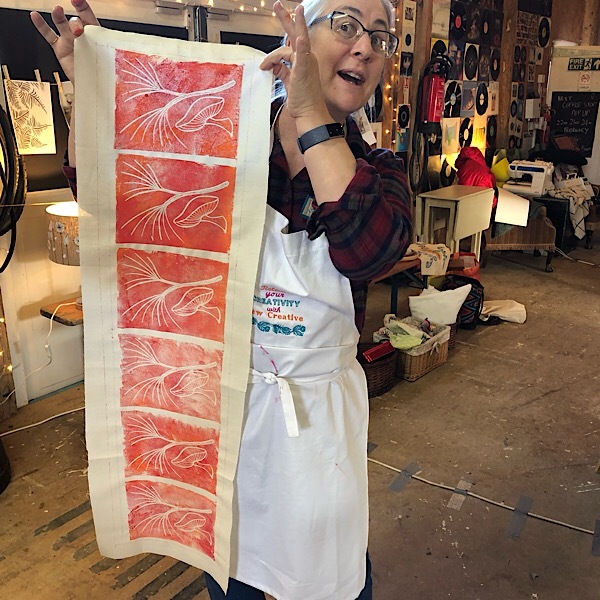 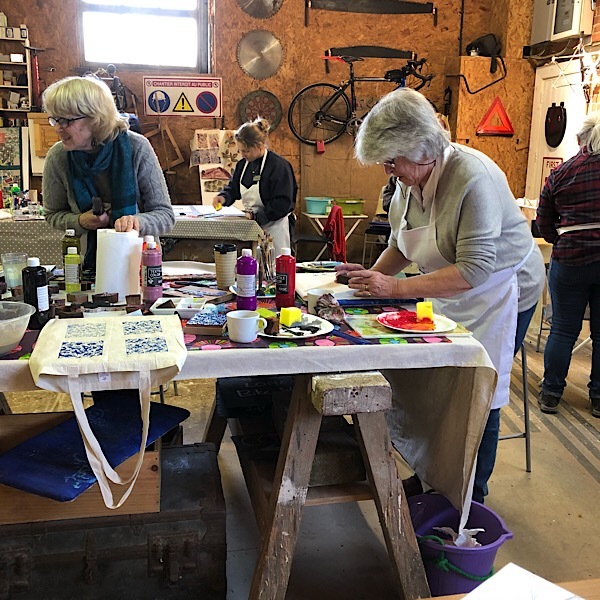 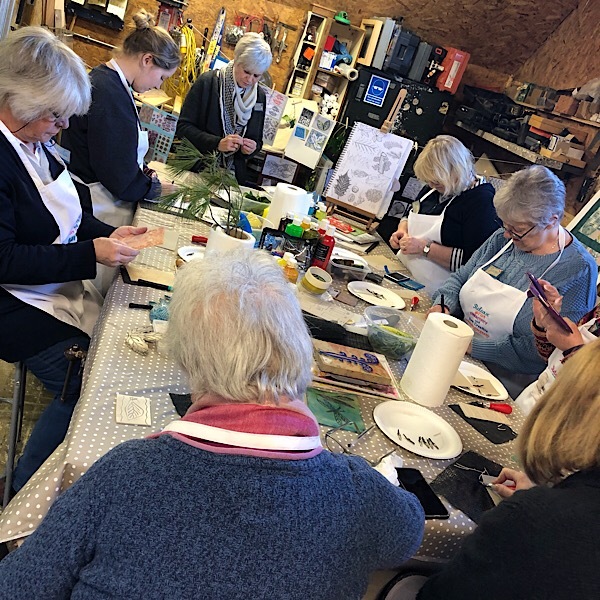 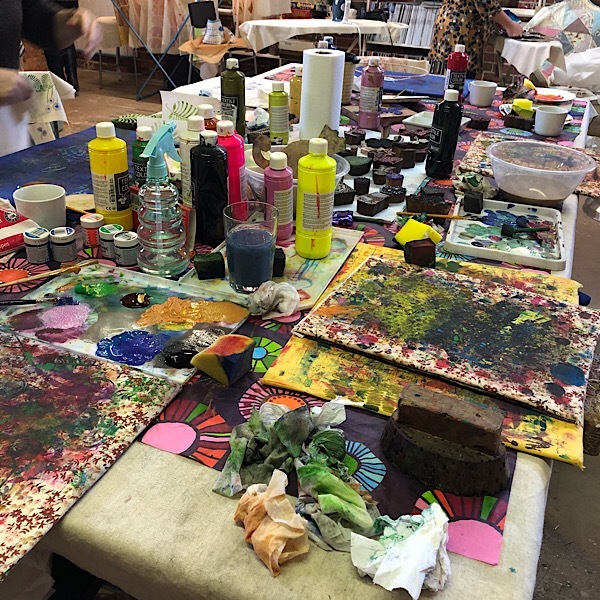 As well as free demonstrations on machine embroidery, patchworking, textile printing, felting, machine cleaning and a dressmaking challenge, there were balloons, badges, cake (made by customers, Sue and Dorothy) and tea and coffee all day! 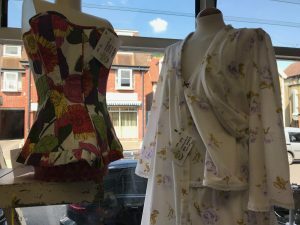 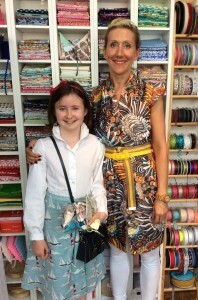 Many customers visited wearing garments made with fabric form the shop and there was a children’s fashion parade to celebrate their sewing achievements at Sew Creative. 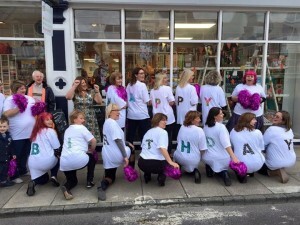 Unbeknown to Jo and Steven, a team of WI members, the staff and customers had compiled a memory book of the first year, created a “mini me” bunting which is pride of place in the shop and finished off the day with a flash dance in the street outside the shop to ”here comes the girls”, “celebrate” and “happy birthday”. 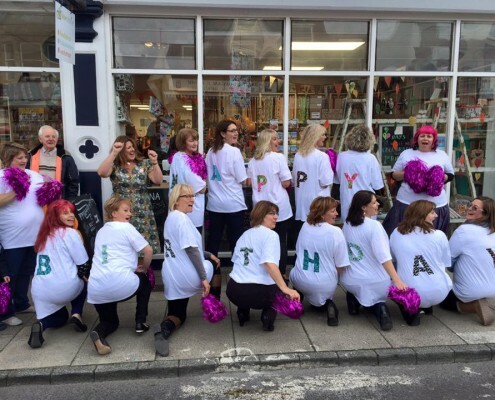 The shop closed with bubbles for all! 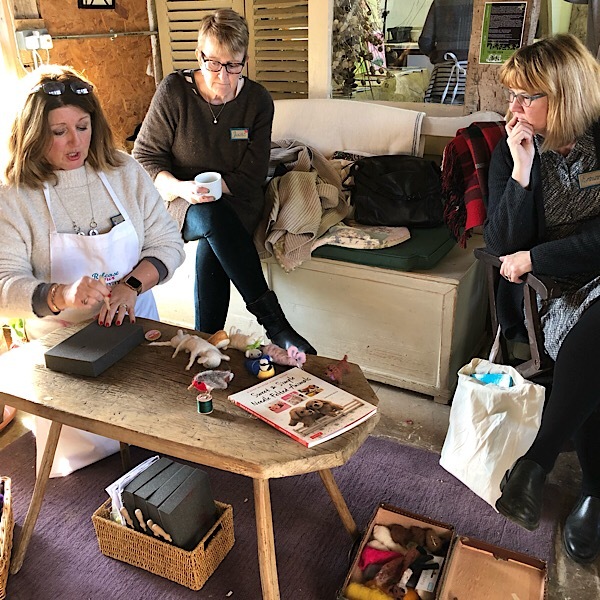 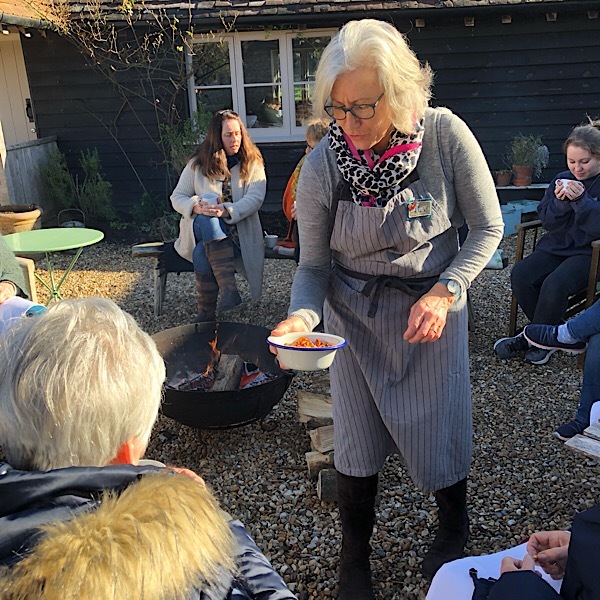 Jo and our wonderful customers had a fabulous day at Kirstie’s handmade fair on Sunday – a full coach of 46 – brilliant day – the odd glass of fizz – thanks to everyone. 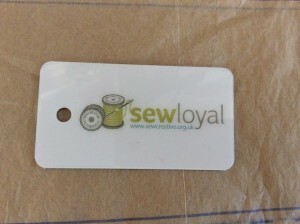 We have launched Sew Loyal our loyalty scheme as a small thank you to all our wonderful loyal customers. 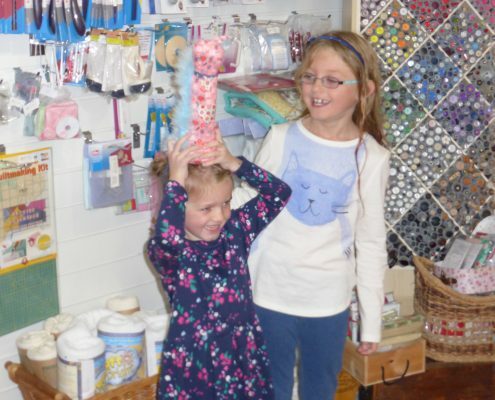 For every £1 spent in the shop you will earn a point that can be can be redeemed at any time against future purchases. 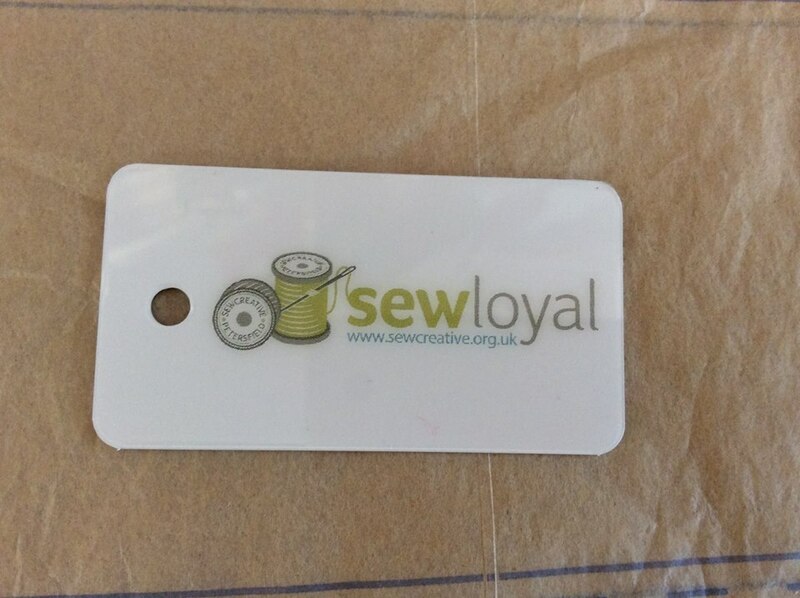 Please collect your Sew Loyal card in the shop and start collecting those points. 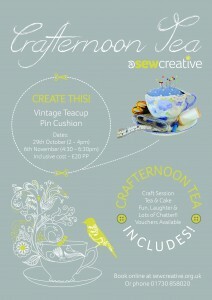 See T&Cs for details. 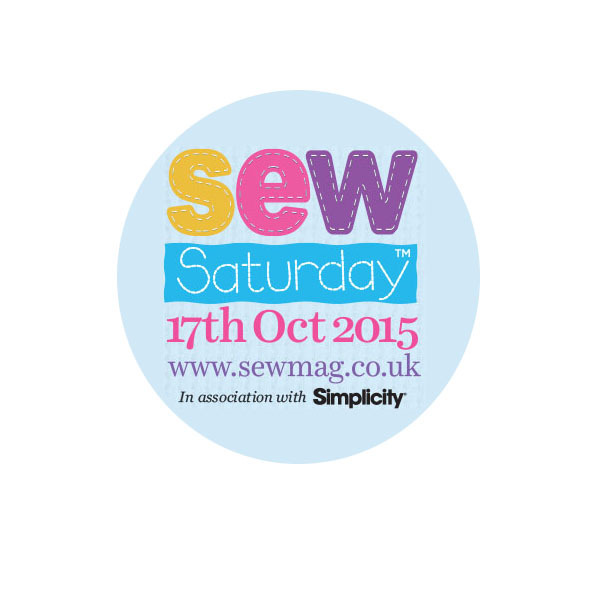 Did you know Saturday the 17th October is Sew Saturday? 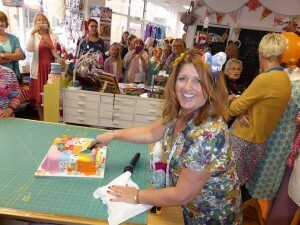 Did you also know that this day also happens to be Sew Creative’s first birthday! 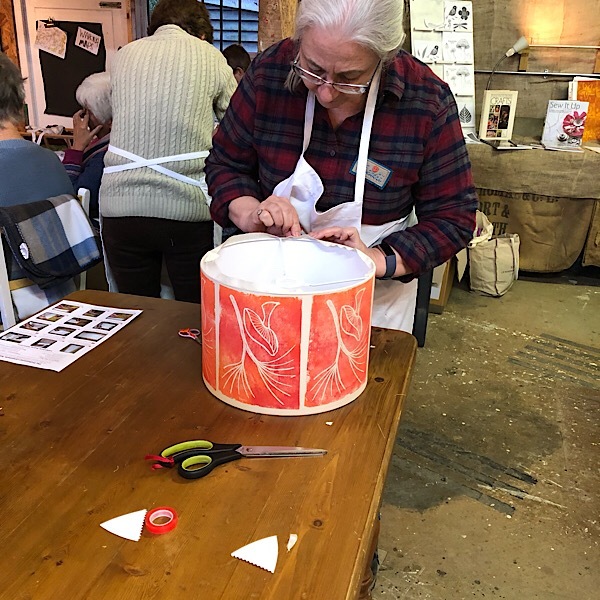 To celebrate both we are putting on a whole program of interactive demonstrations for the day; something for everyone so please watch this space and you never know but I think there may be cake involved too. Yesterday we were very fortunate to meet both Kaffe and Brandon at Kaffe’s 50th celebration of working with Rowan Fabrics. 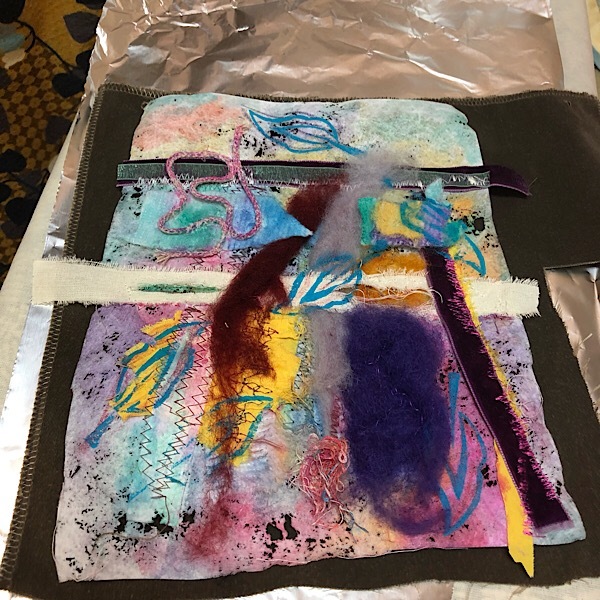 Saw some amazing examples of their work. 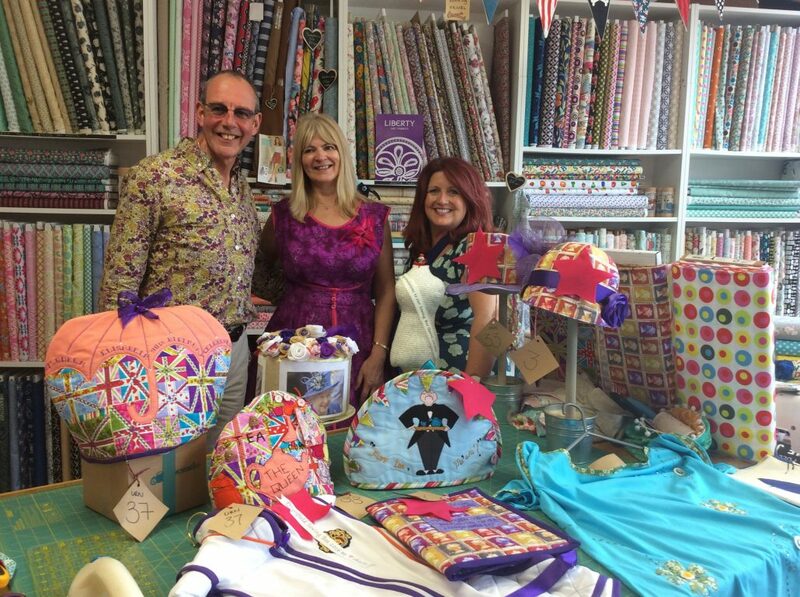 After receiving the third (patchwork cushion) and forth (zipped bag) adult challenges and the second (ipod stand) and third (creative book cover) under 16’s challenges in the shop, the final judging of all the entries took place on Saturday 20th June by Tamara Melvin (BBC Great British Sewing Bee finalist 2014) and Sew Creative tutors, Sharon Russ and Clare Allington. 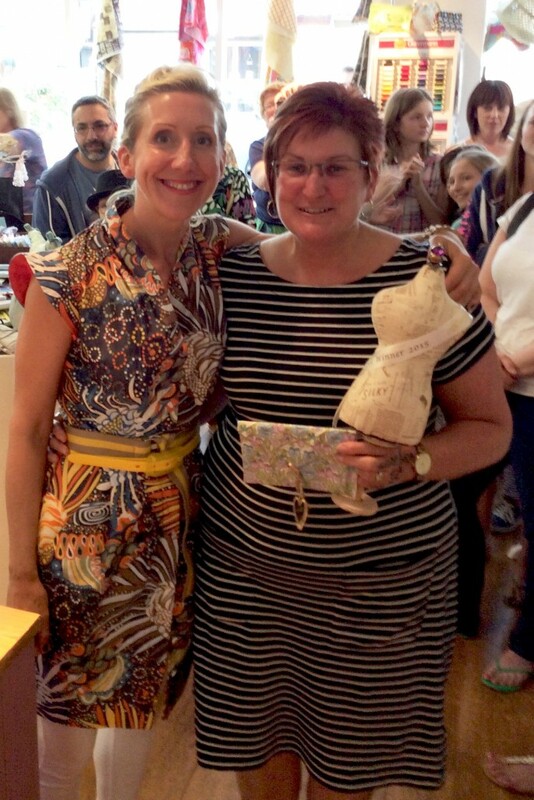 Tamara announced Sally-Ann Cole as the overall adult winner and Bea James won the under 16’s. 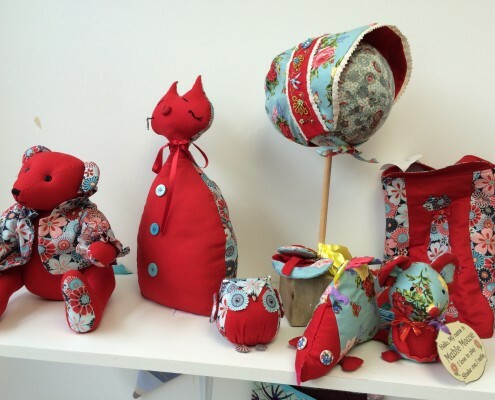 Such was the overwhelmingly high standard of entries there were several individual awards. 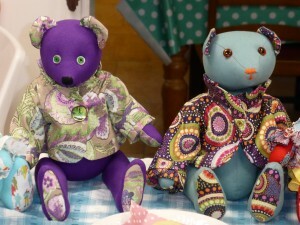 “Lottie” the teddy by Sarah Lloyd was the adult “showstopper” and a t-shirt dress by Izzy Miller was the under 16’s “showstopper”. 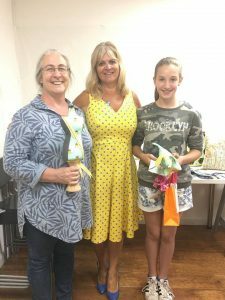 Jo Watts thanked and praised all challengers for rising to the challenge with such inspiration and skill and promised The 2016 Petersfield Sewing Bee Challenge was already being planed! 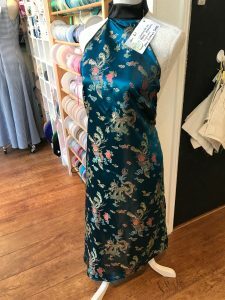 The second adult challenge of the Petersfield Sewing Bee Challenge has now been received in the shop and the results are again amazing. 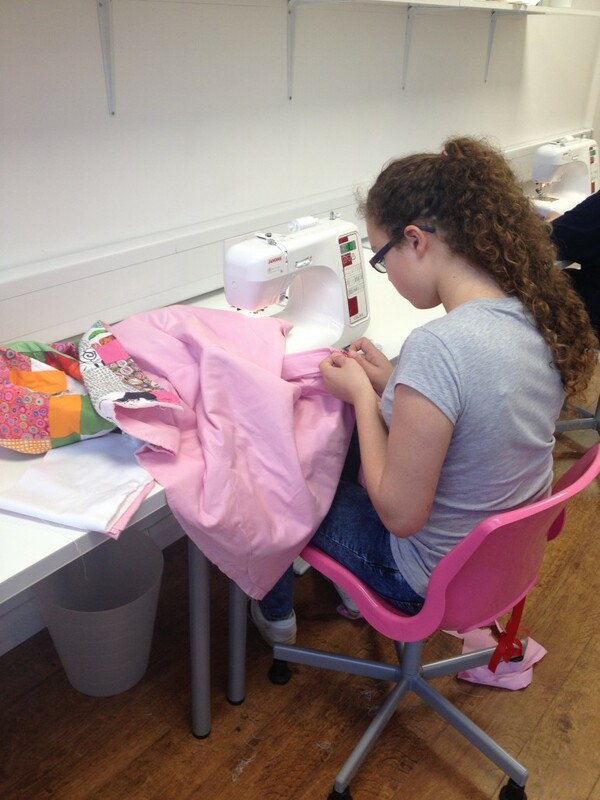 The challenge was to make a child’s garment from a 100% cotton pillowcase without adding any further fabric. 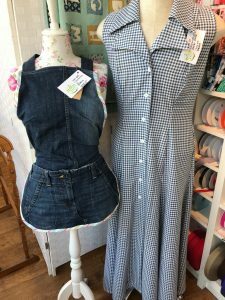 We have wonderful appliquéd designs, a doodle dress, dungarees, a shirt and many pretty dresses, fit for any princess or prince. 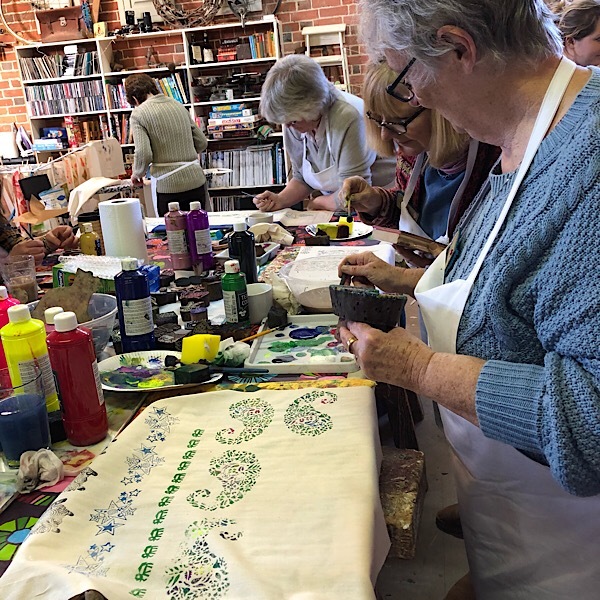 Some garments have been dyed (possible due to 100% cotton), some have been hand smocked and some embellished with lace, ribbons and buttons – all delightful! 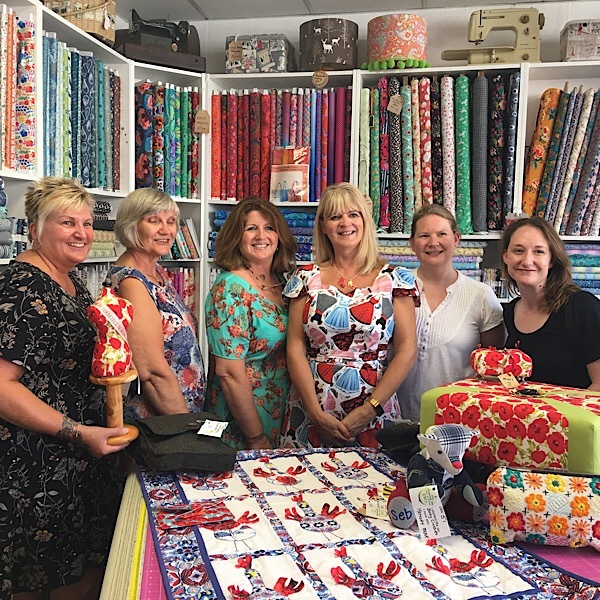 The first challenge of the Petersfield Sewing Bee Challenge has now been received in the shop and the results are amazing; a credit to every participant. 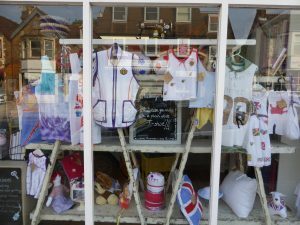 You can see both the adult and under 16s entries in our window; do please take a look. 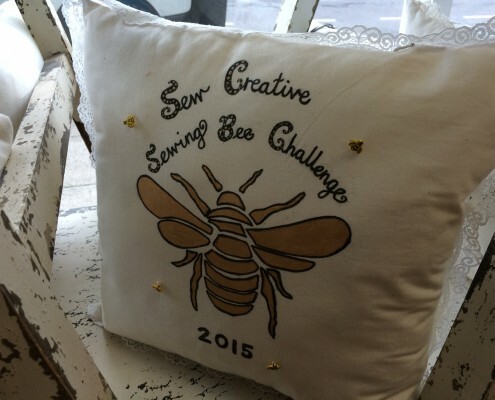 You will be able to register and receive your Sewing Bee challenges between Monday 20th April and 11th May. 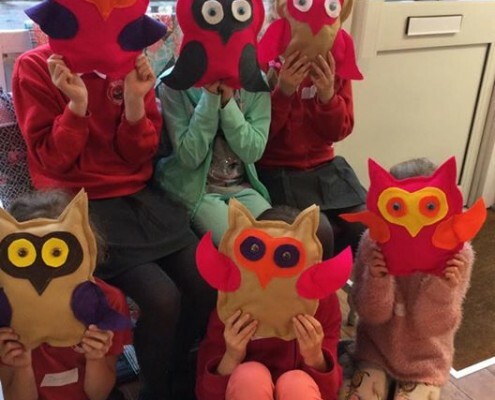 Open to Adults and Children of all abilities. 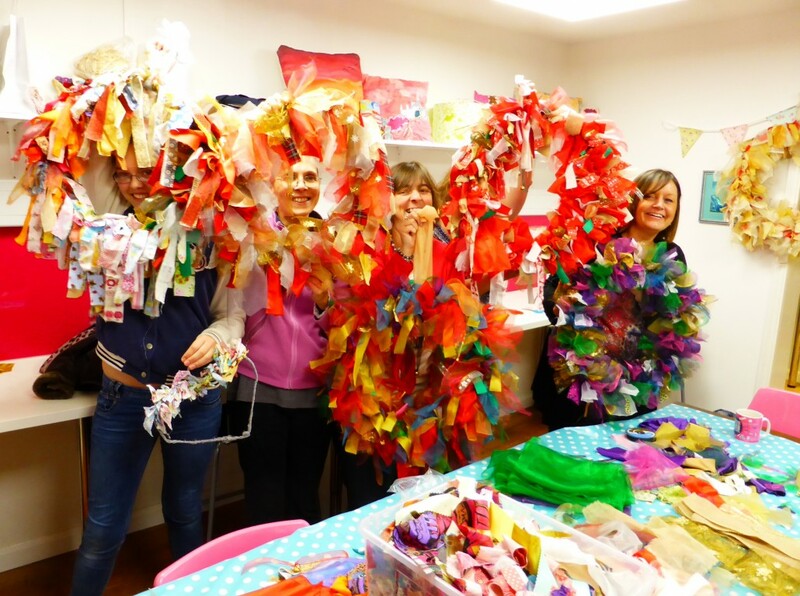 The aim is to challenge yourself, be creative and have fun! 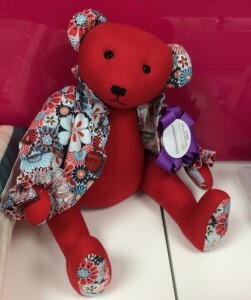 To help us get the challenges ready – please email us saying – “Count Me In”. 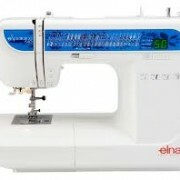 We now sell the full range of Elna Sewing Machines and Overlockers directly in the shop. 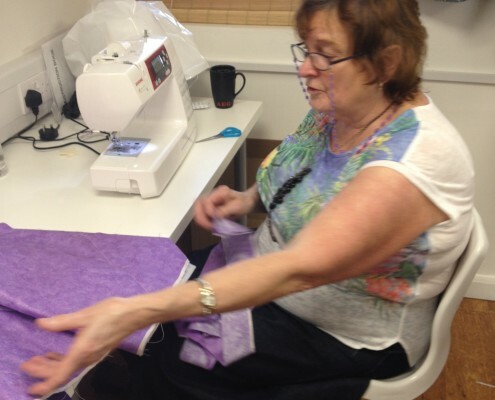 Elna are Swiss designed and part of the Janome group. 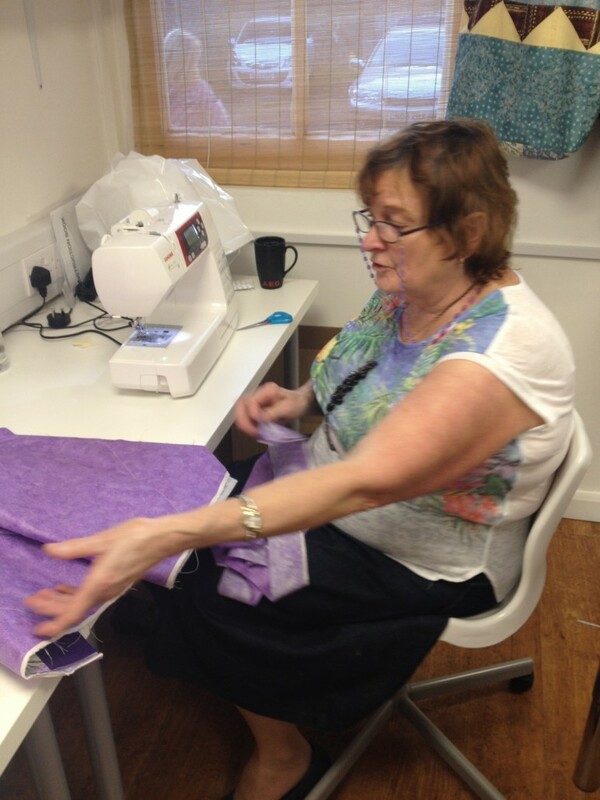 We have four demonstration models for you to try and the range starts at £120. 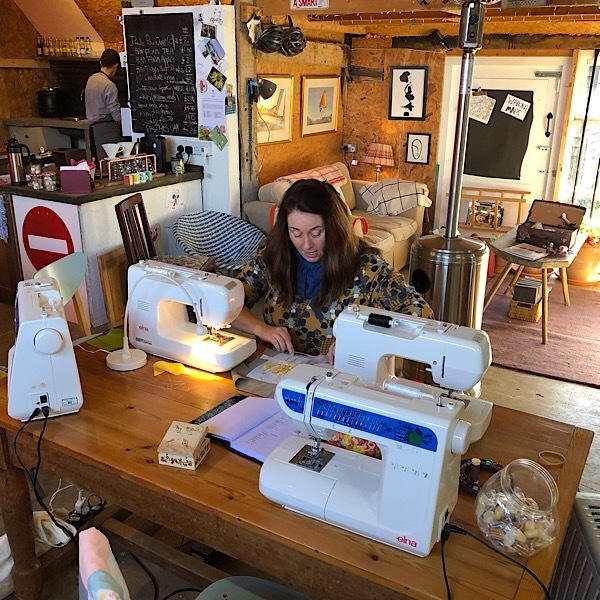 We are giving £10 towards our 2 hour “love your sewing machine” workshop for every machine purchase between £200 and £500 and a free “l-y-s-m” workshop for each purchase over £500 (both subject to other offers from time to time). 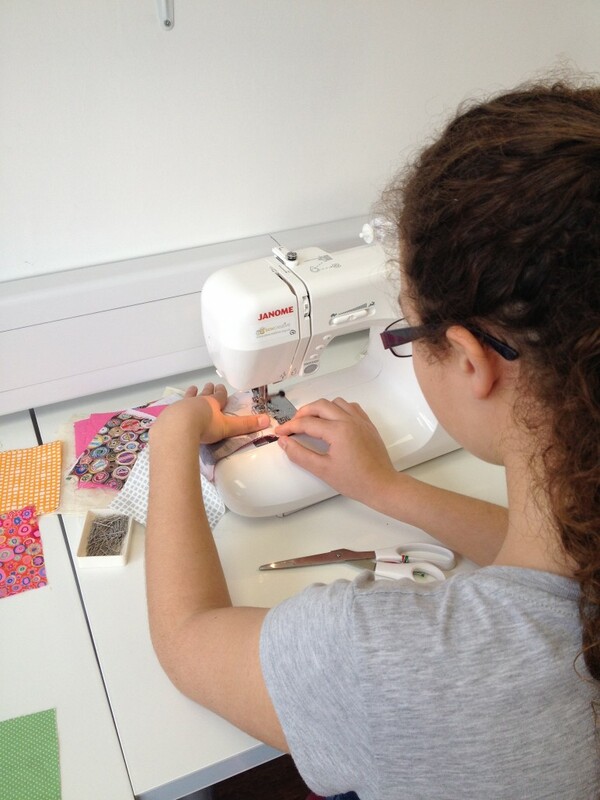 We also run an under 16’s “Love to Sew” workshop specifically for children with a new machine. 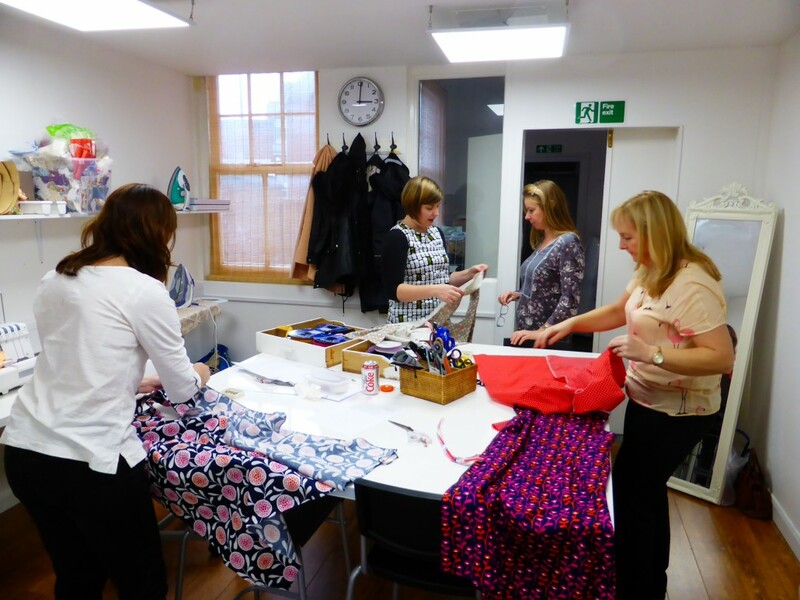 This workshop is just £14; please see our Workshops page for more information. 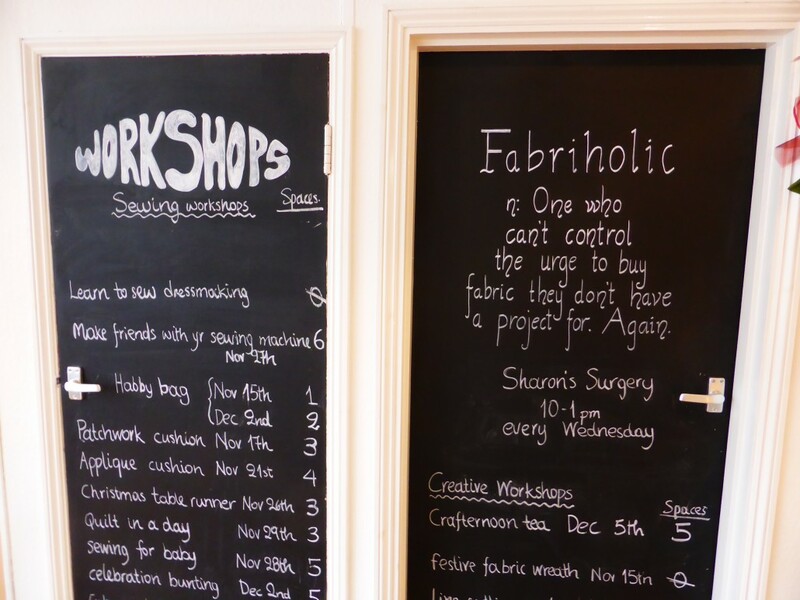 For advice, please visit us in Lavant Street. 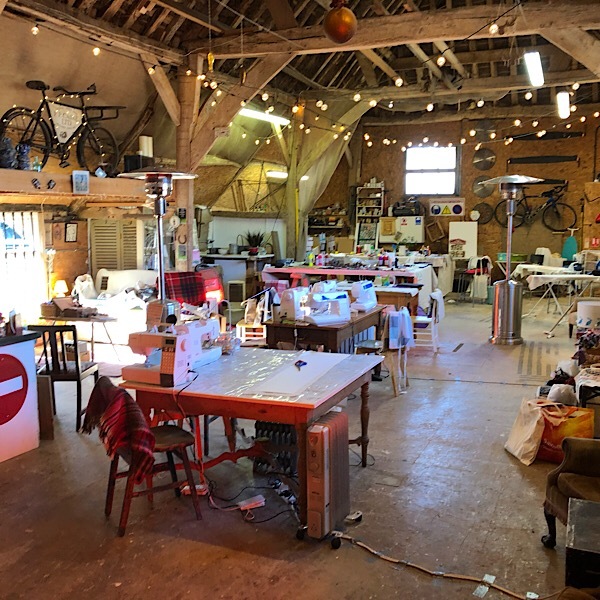 We are also a drop off and collection point for all your sewing machine servicing and maintenance needs, again please visit us to discuss your requirements. 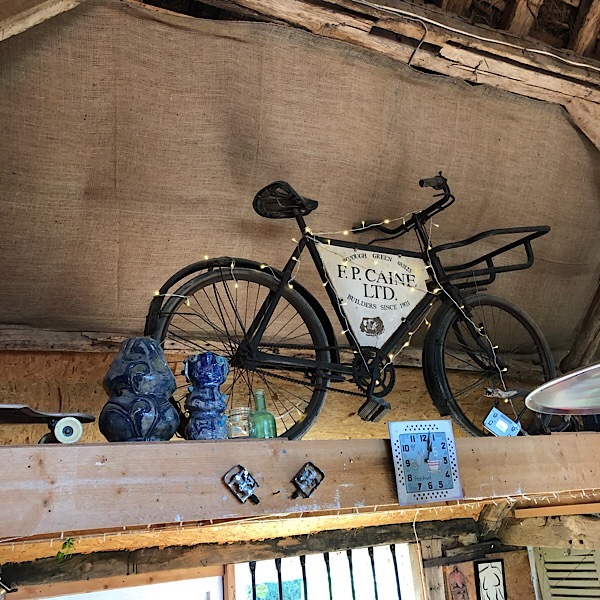 We now have a portable ramp for easy access to our shop for our wheelchair and pushchair user customers; please catch our attention for our assistance. 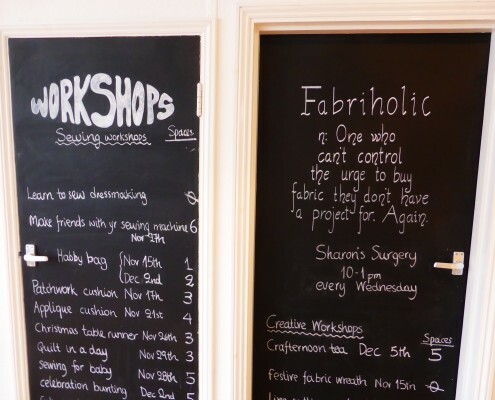 Got any sewing dilemmas? 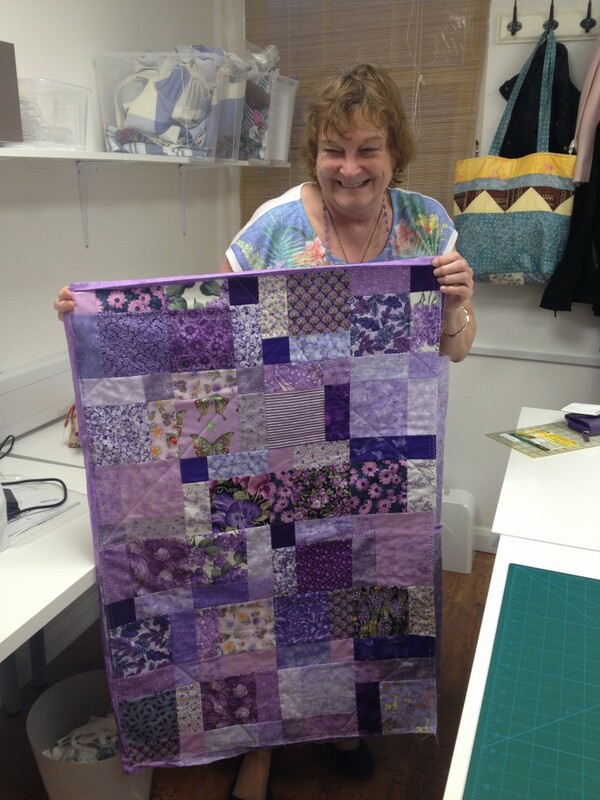 Not sure how to finish off your quilt? 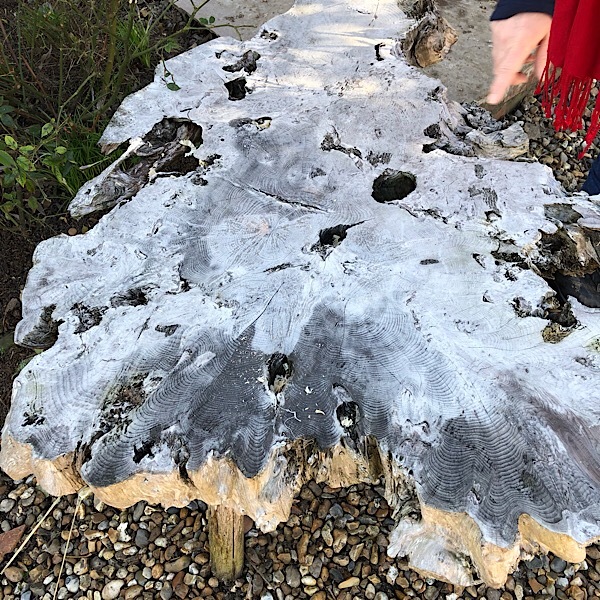 Advice on mending, altering or repairing? 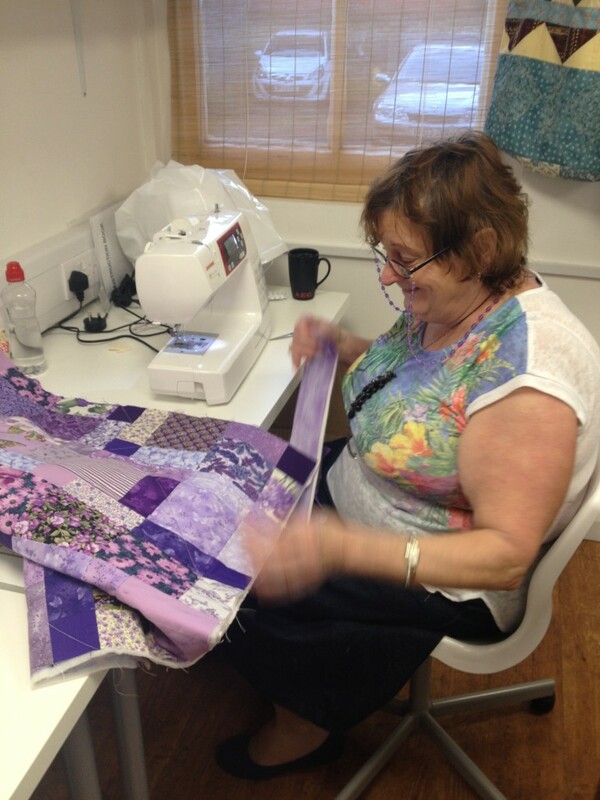 Then come in and speak to Sharon – she really does know everything!!! 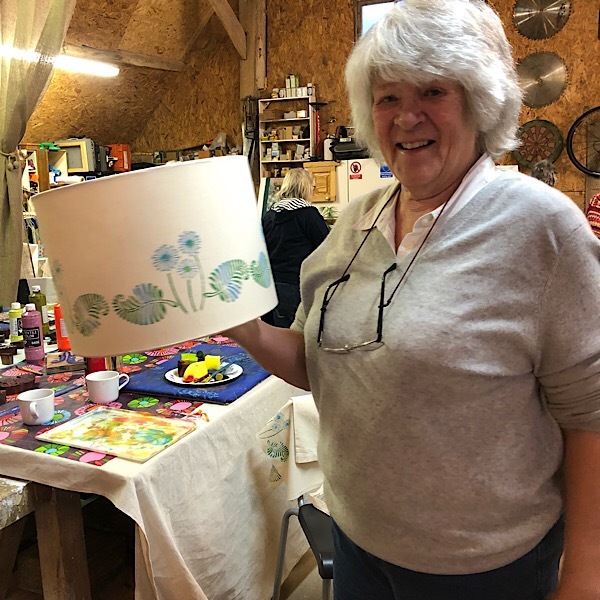 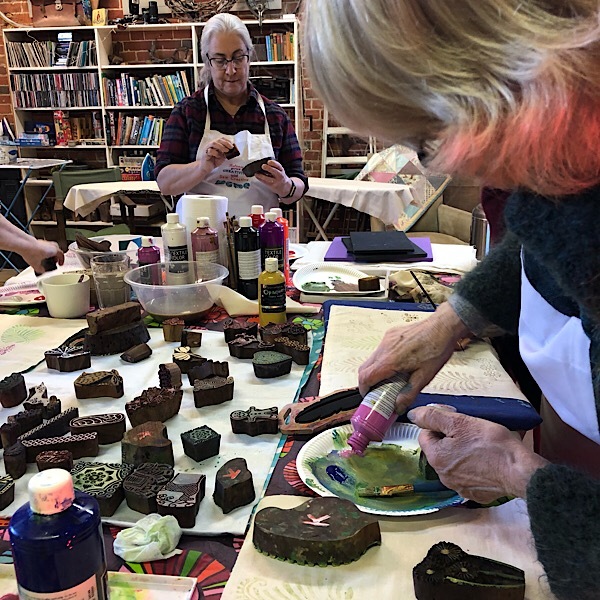 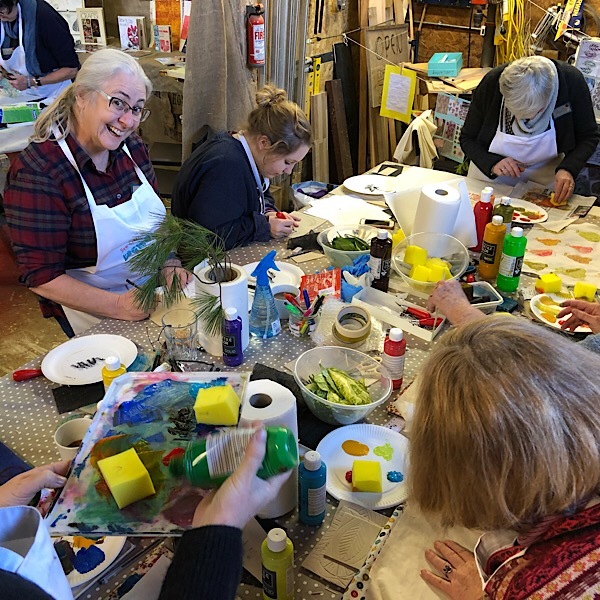 Our regular Crafternoon teas are aimed at all levels of crafters – a great opportunity to socialise and ‘get creative’ over a cuppa and a slice of cake. 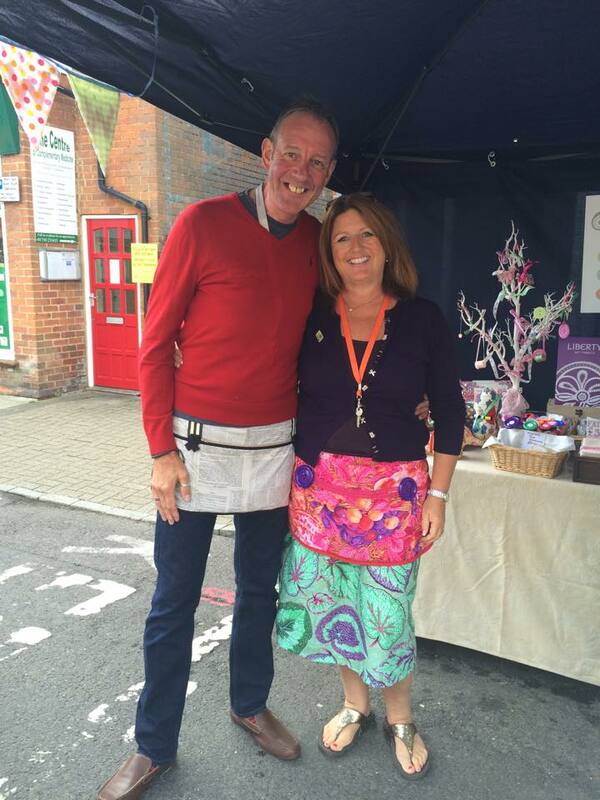 With a stall right outside our new shop, we had a fabulous time at the Lavant Street market on Sunday 5th October – the sun was shining and we had some wonderful feedback from all who came to chat to us! On the Saturday 18th October we opened the shop. 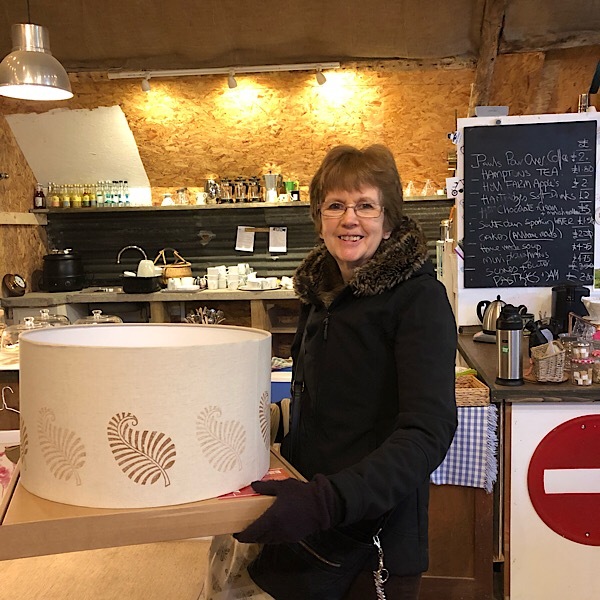 Tamara Melvin from last year’s Great British Sewing Bee joined us for a presentation and question and answer session and helped us celebrate by cutting the cake!